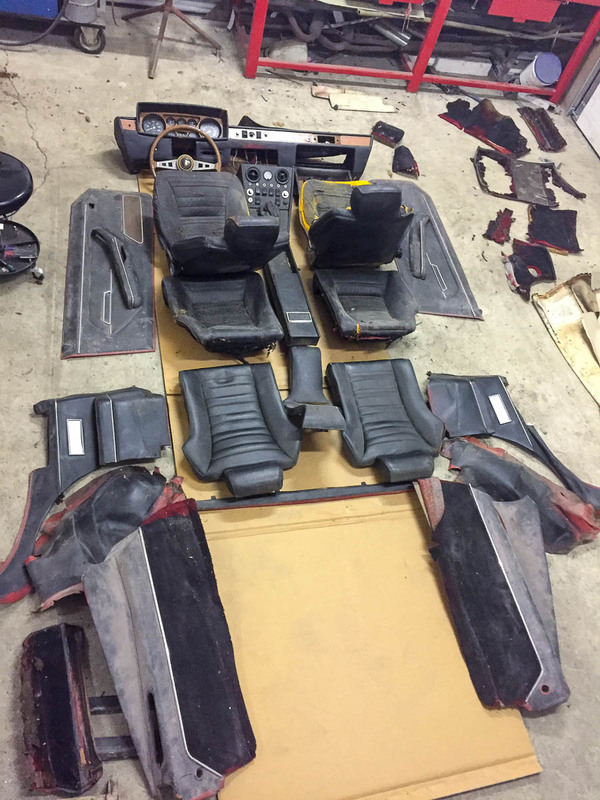 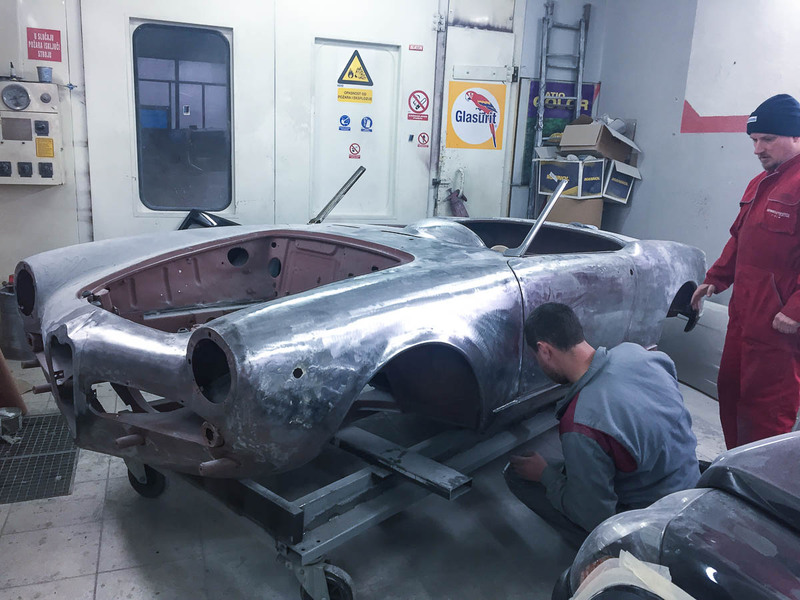 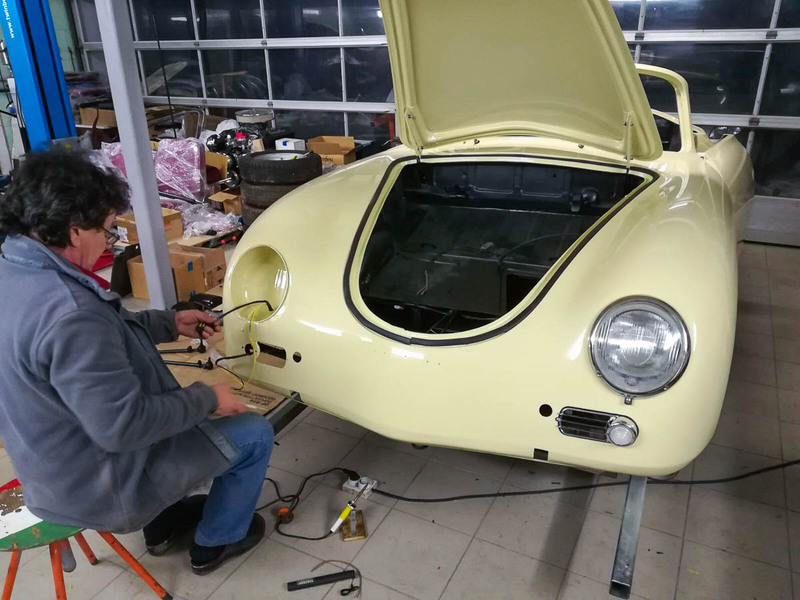 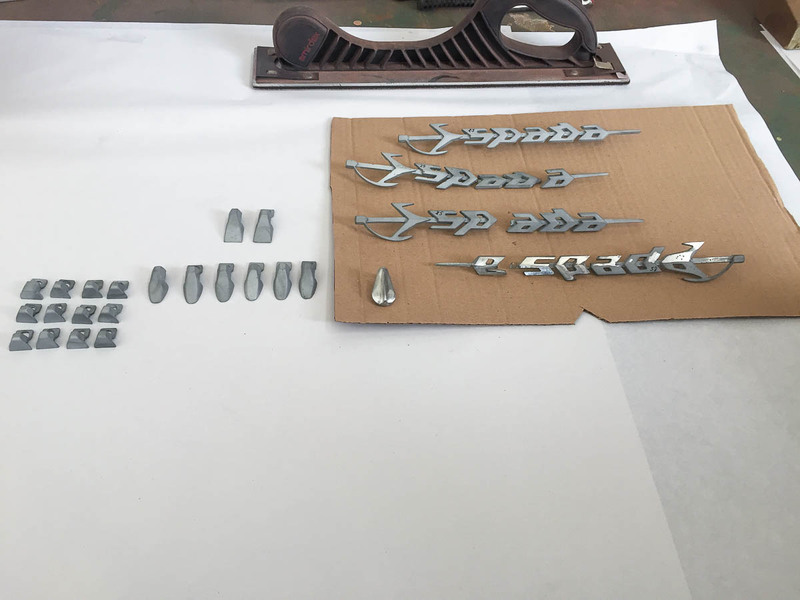 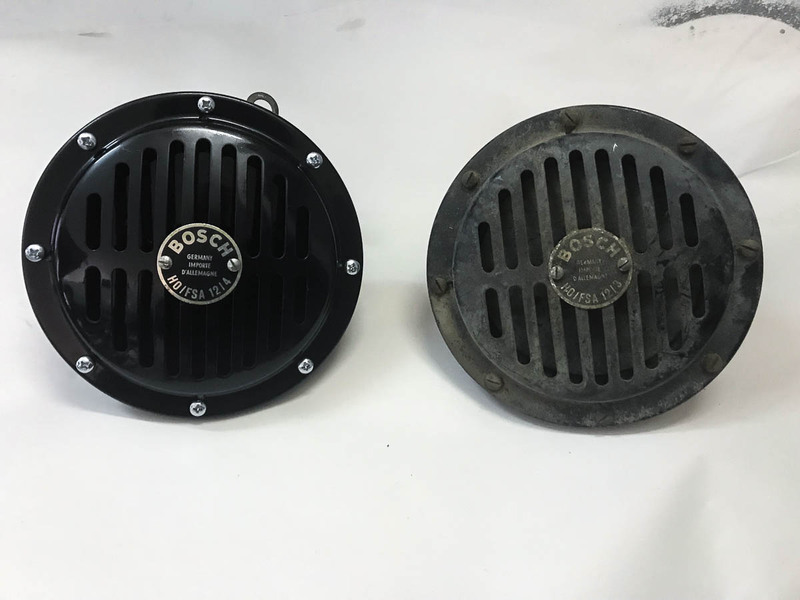 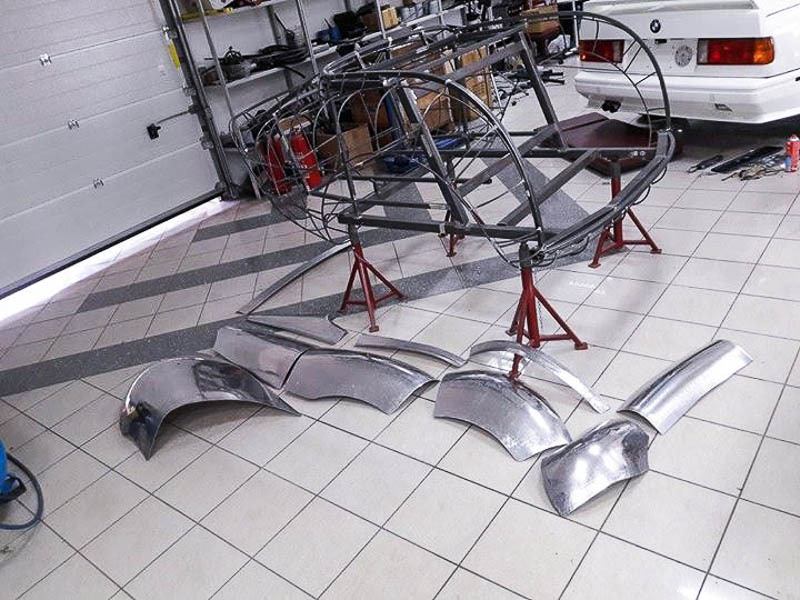 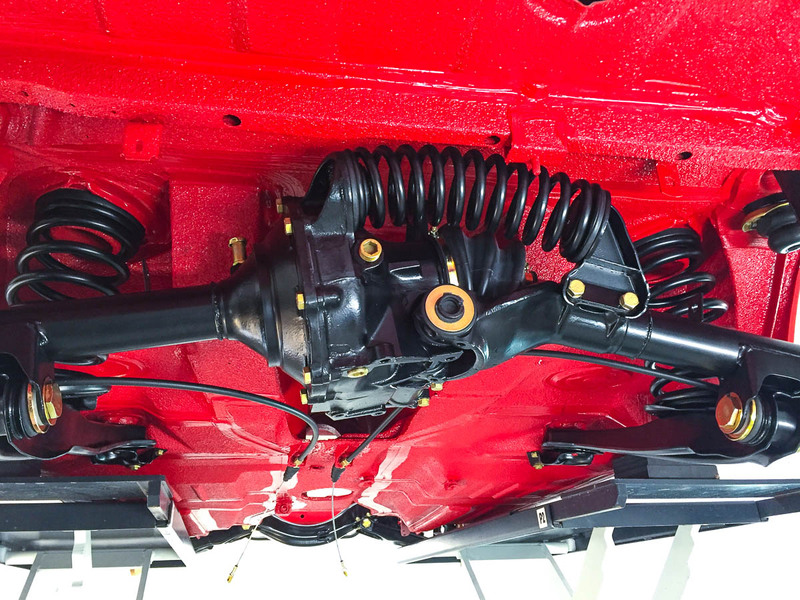 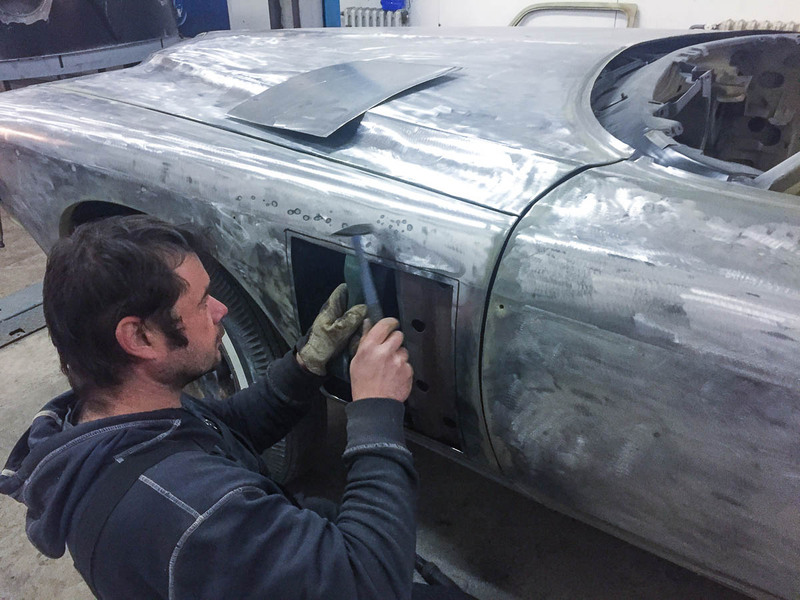 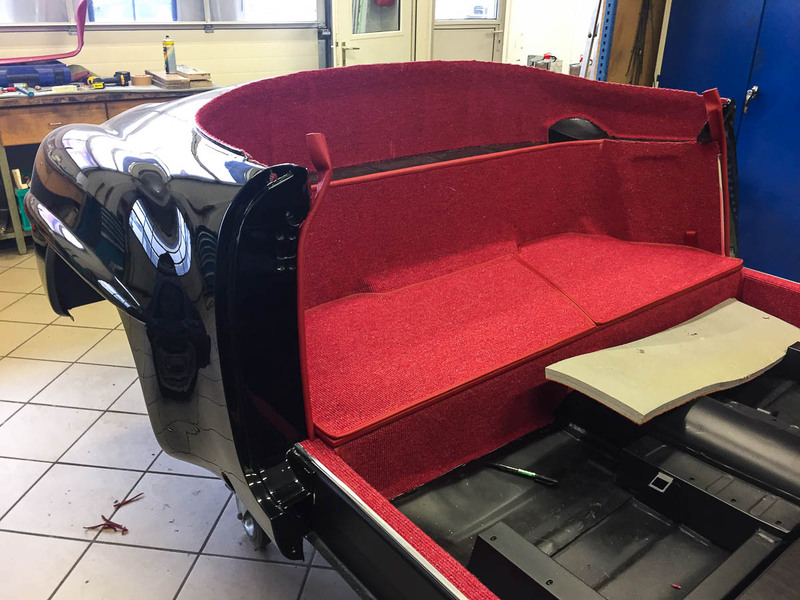 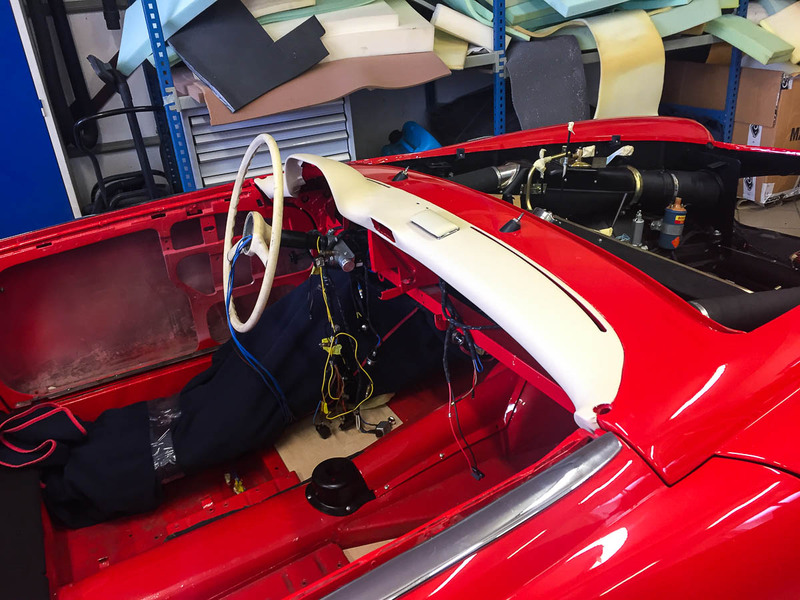 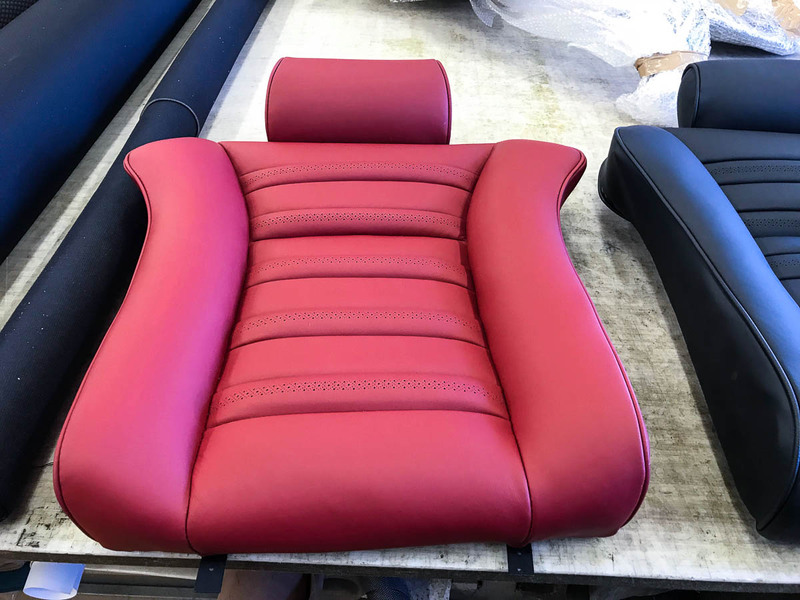 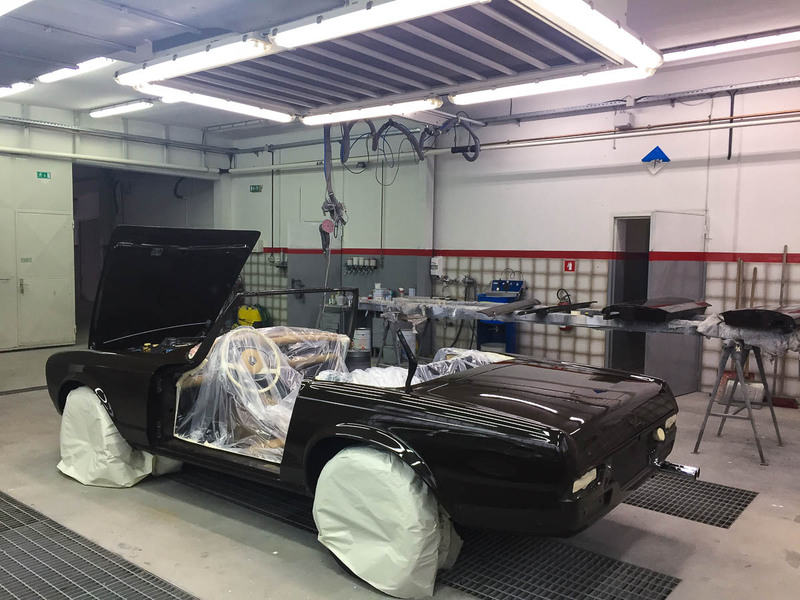 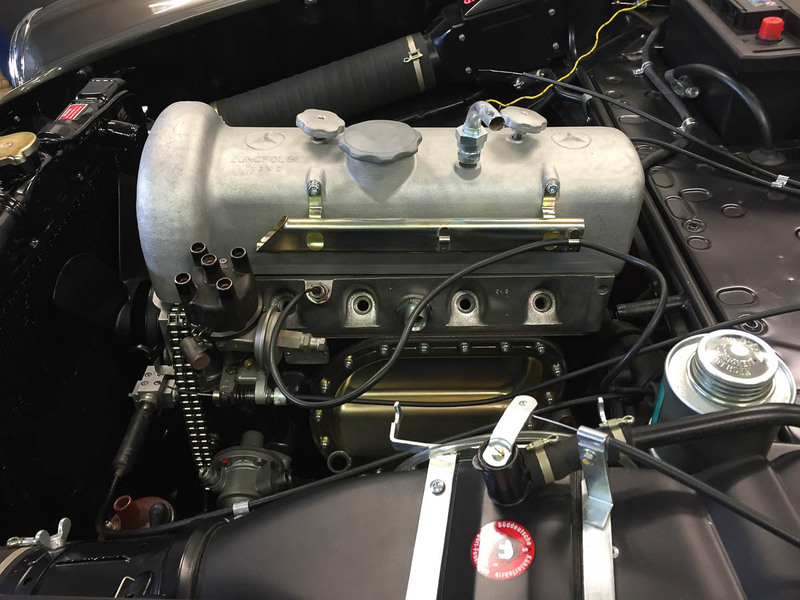 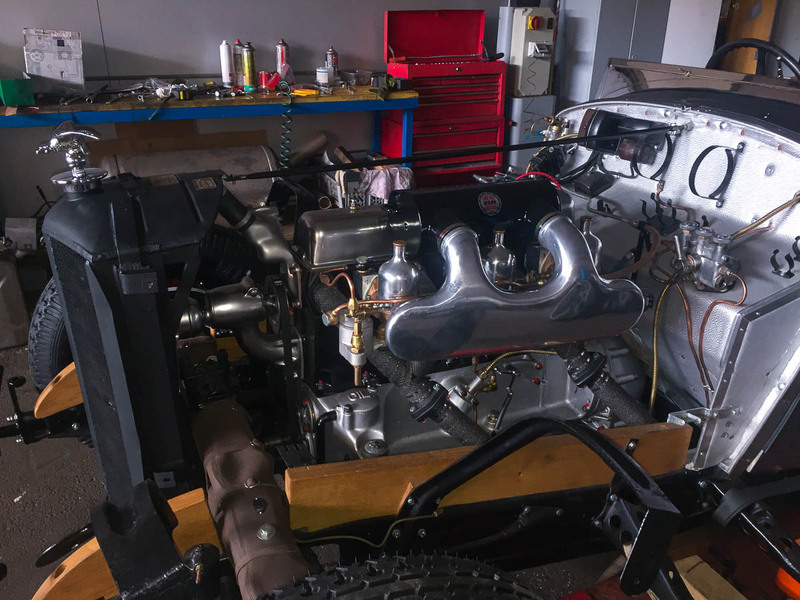 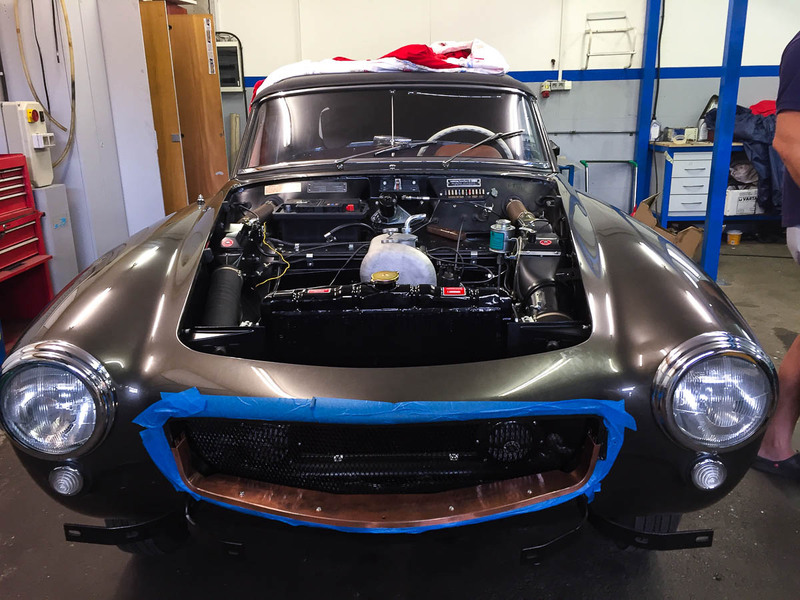 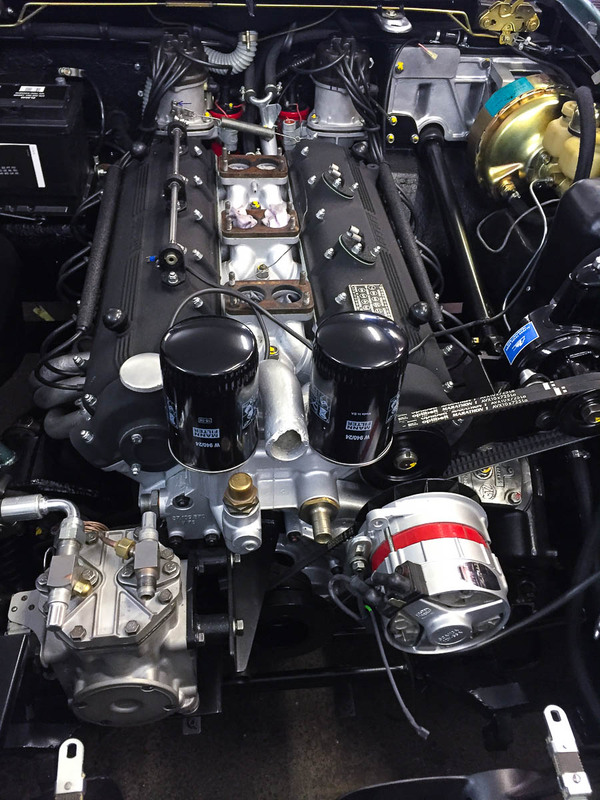 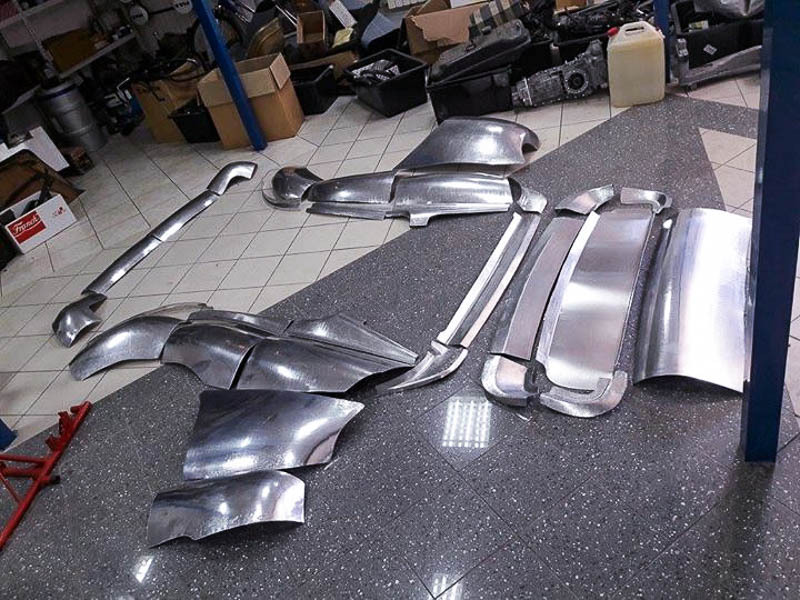 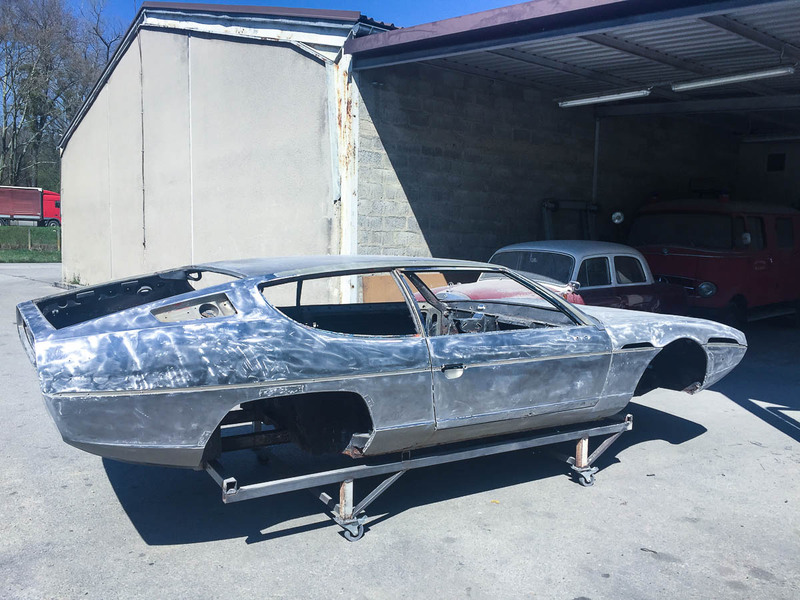 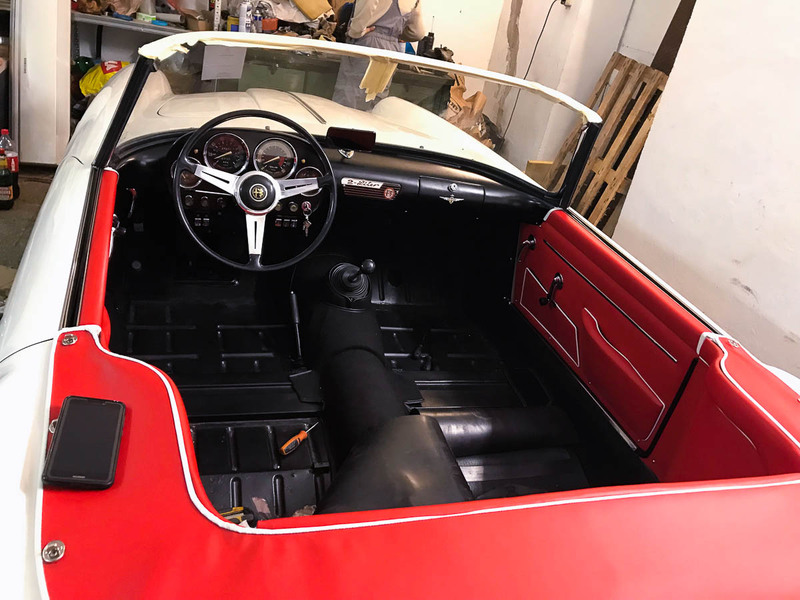 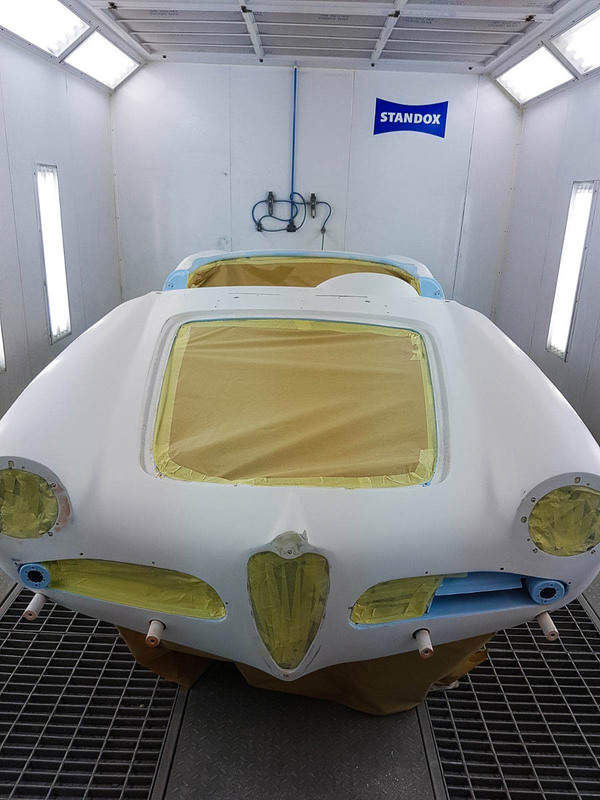 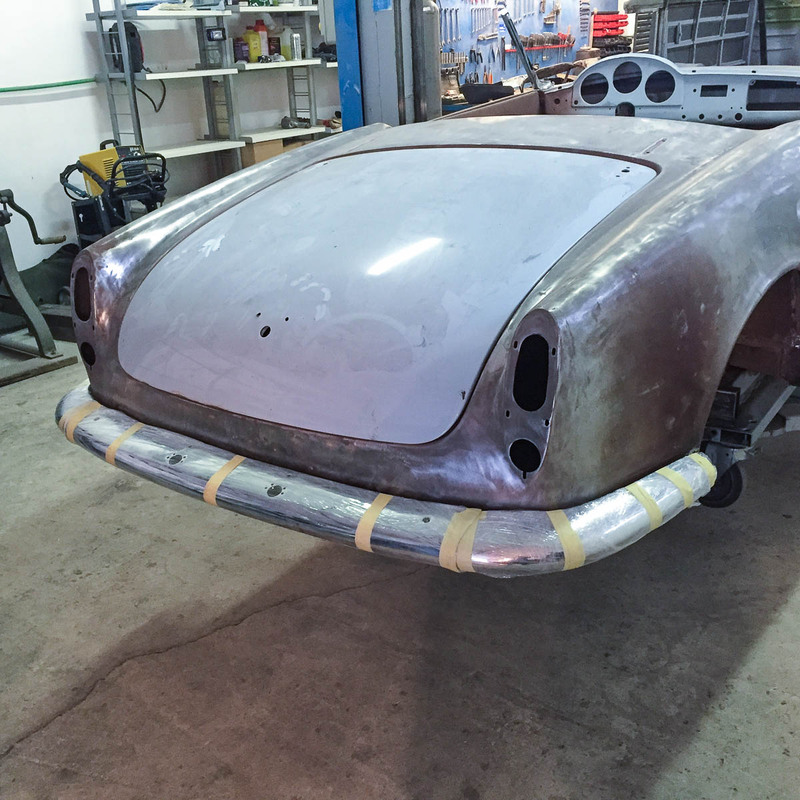 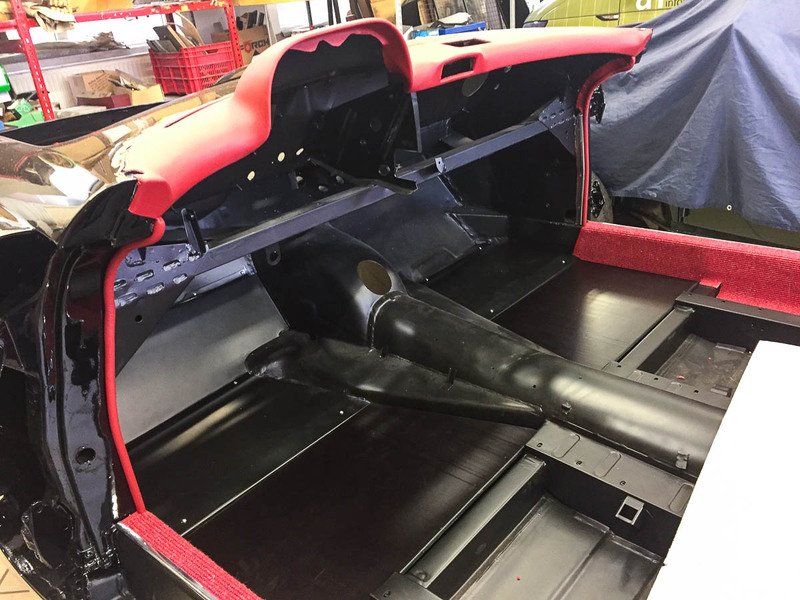 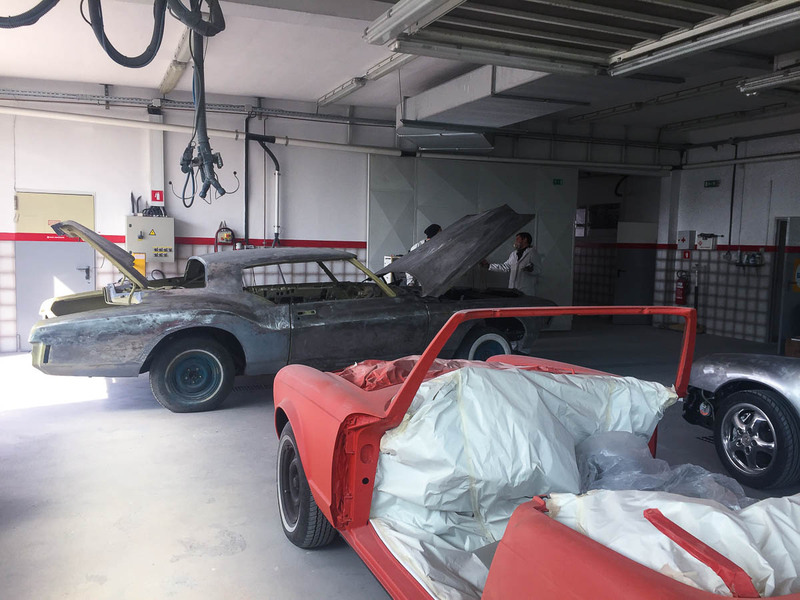 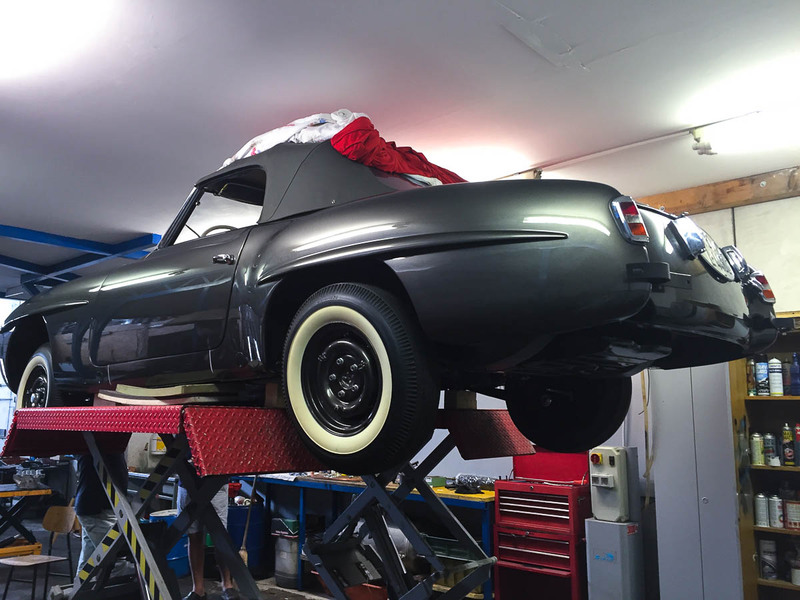 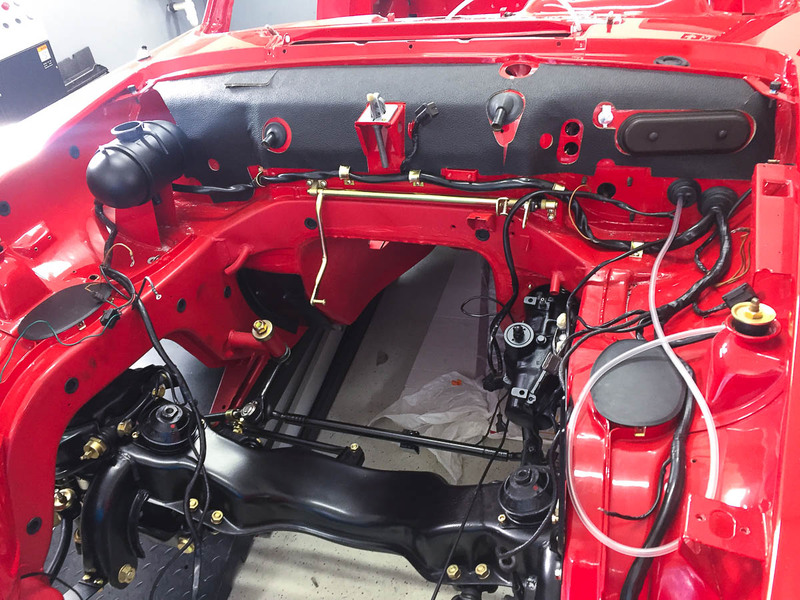 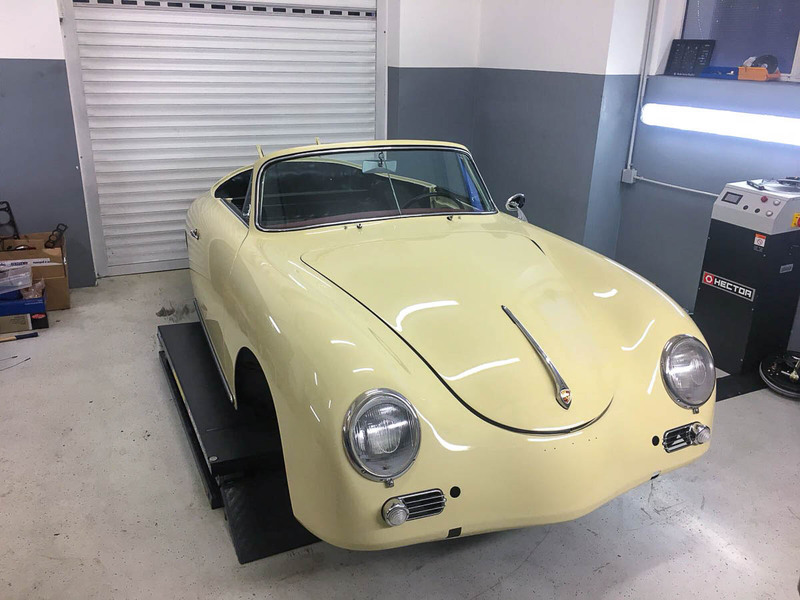 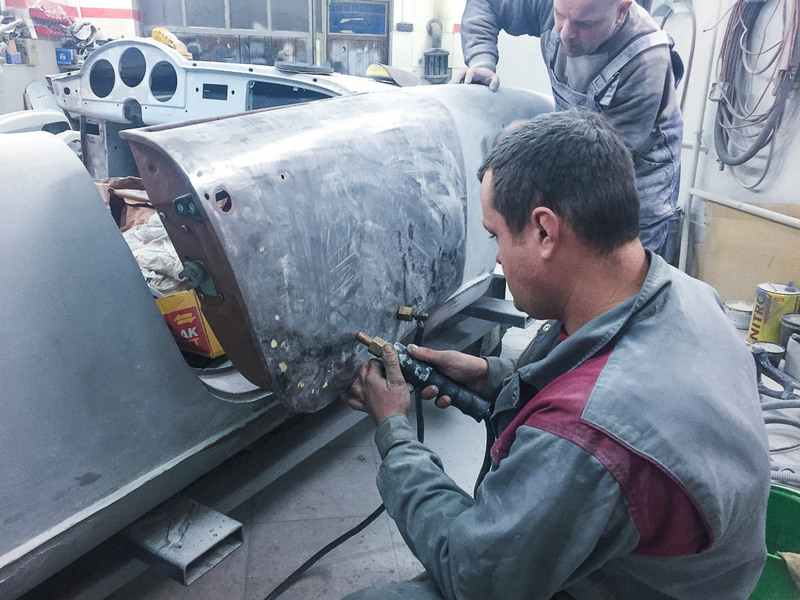 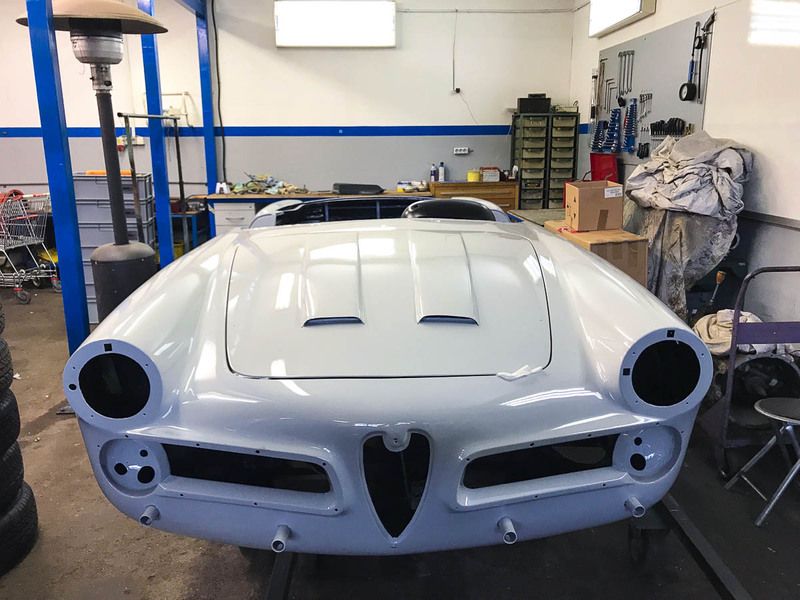 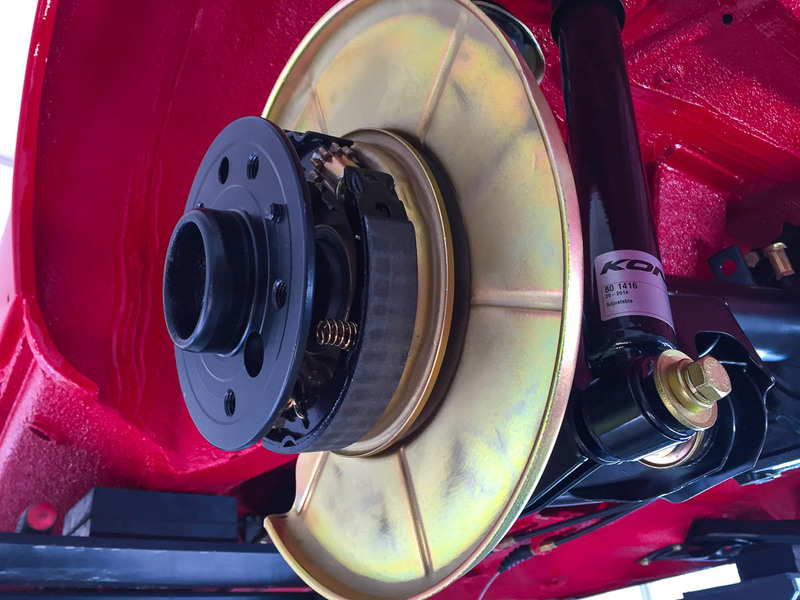 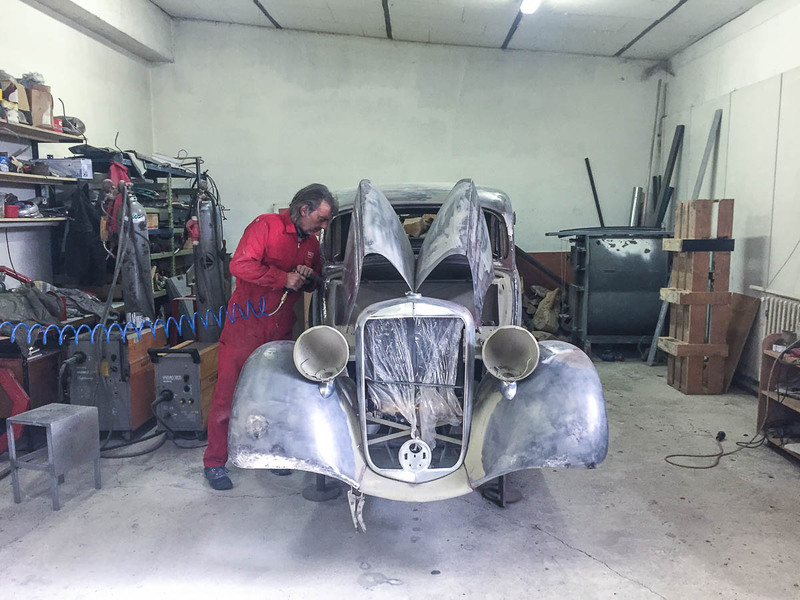 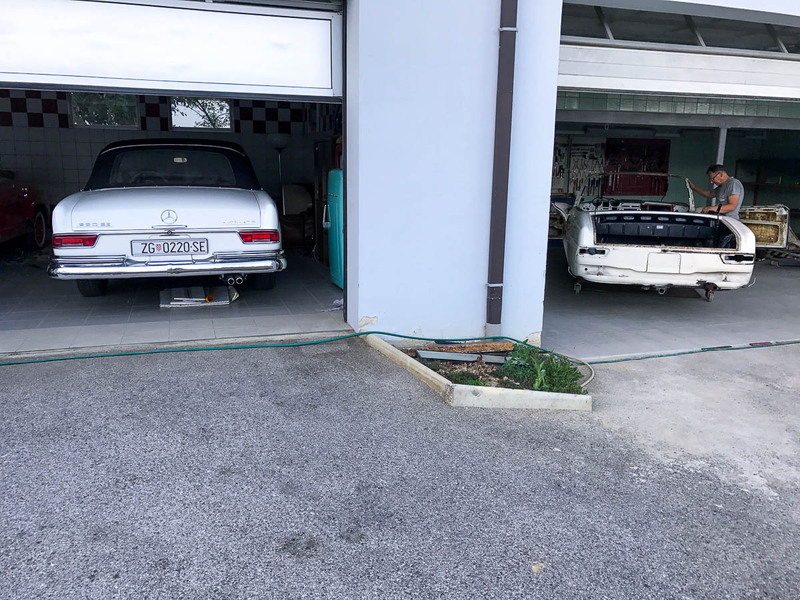 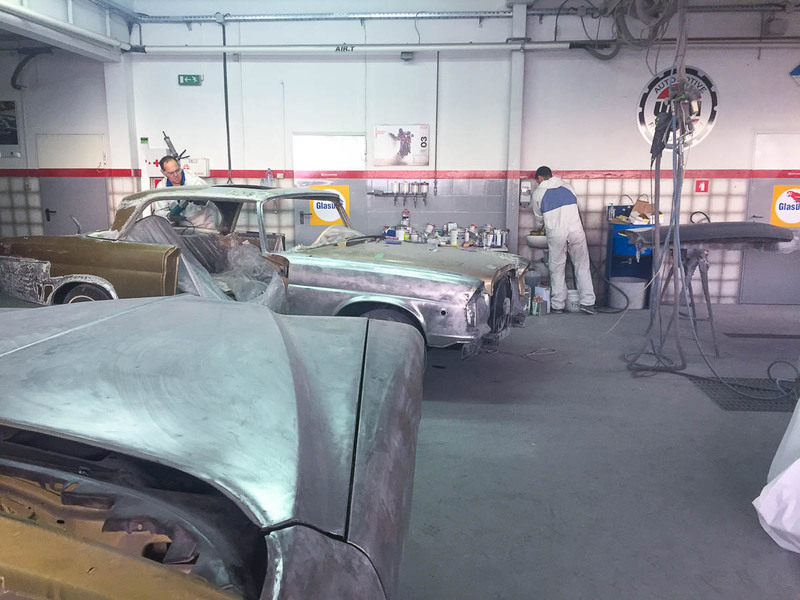 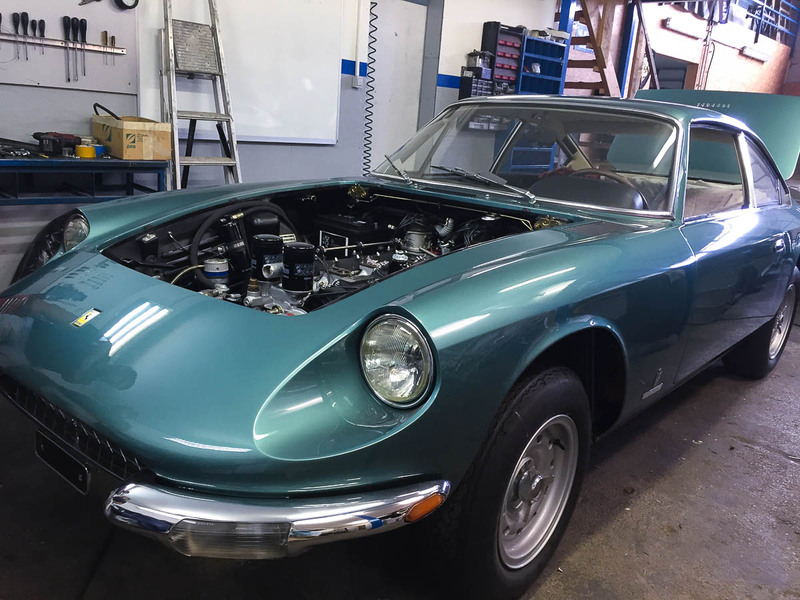 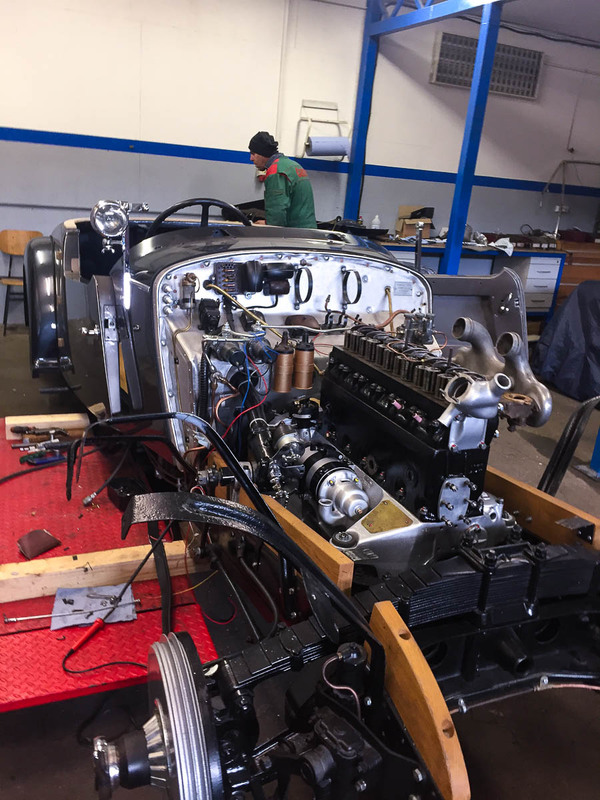 Classic car restoration is an elaborate process consisting of several stages. 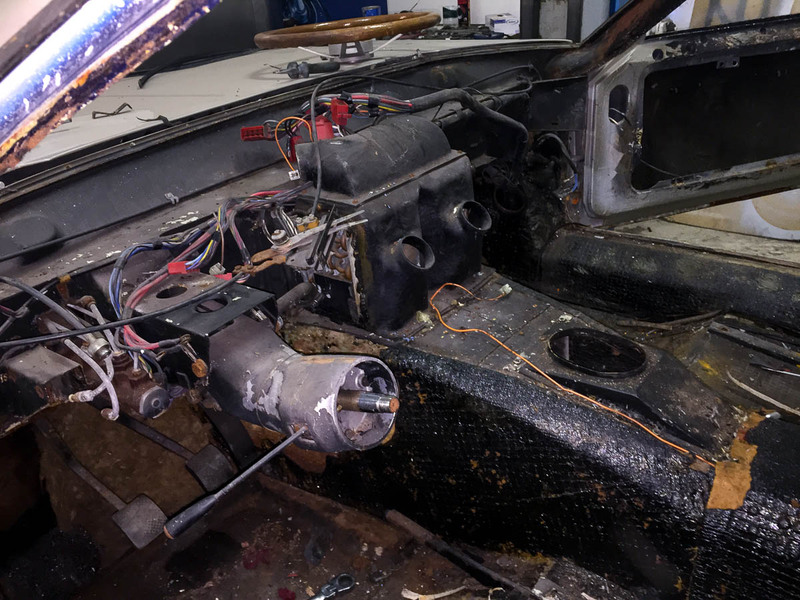 It takes passion, patience, and knowledge to bring a car project to better-than-new condition. 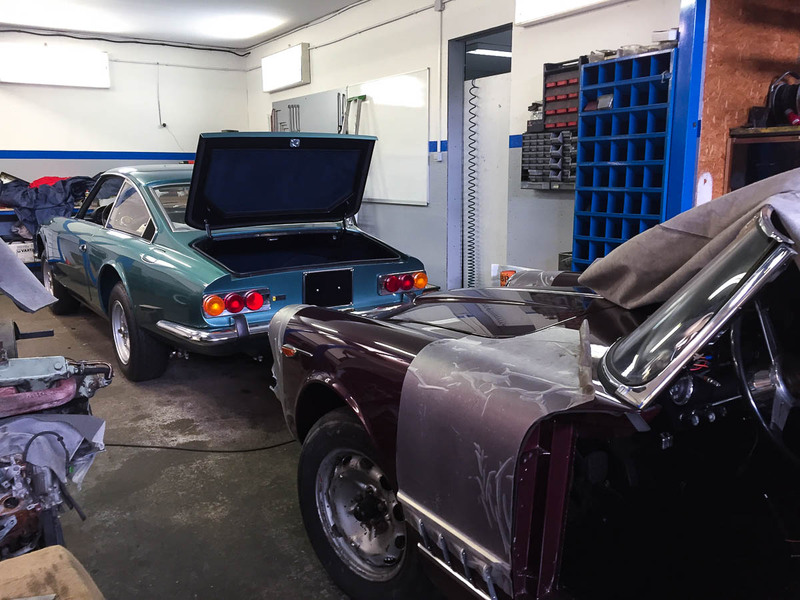 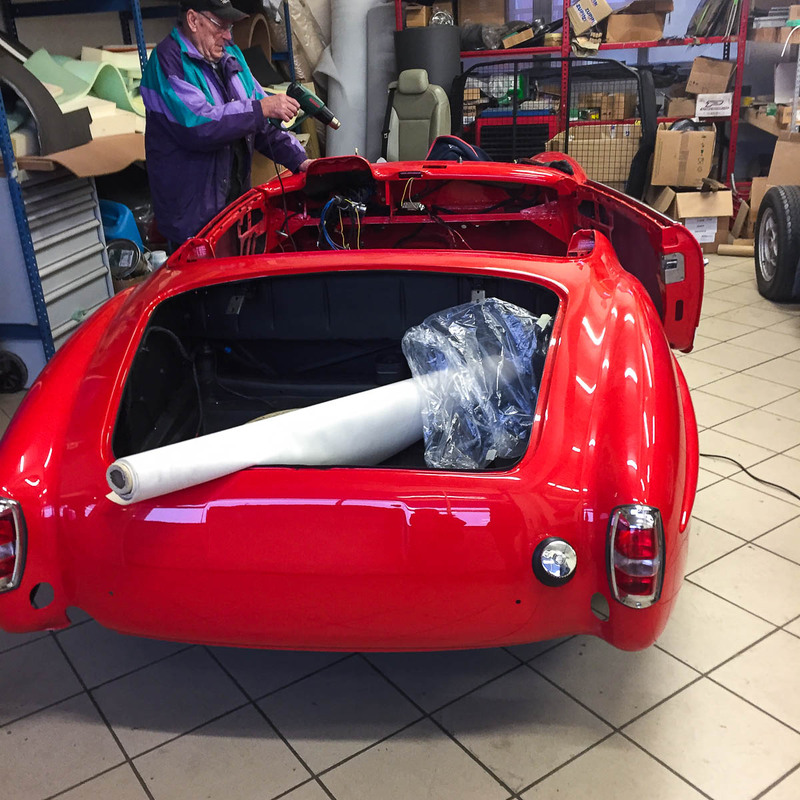 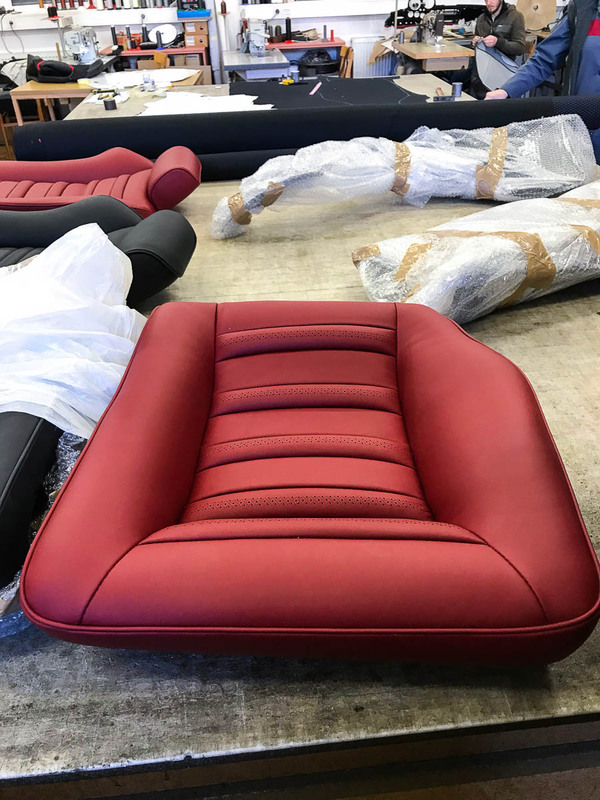 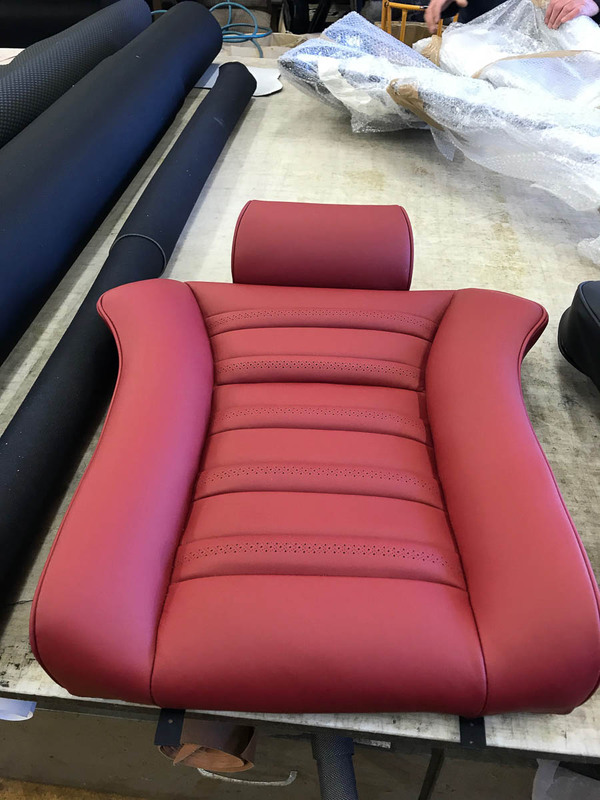 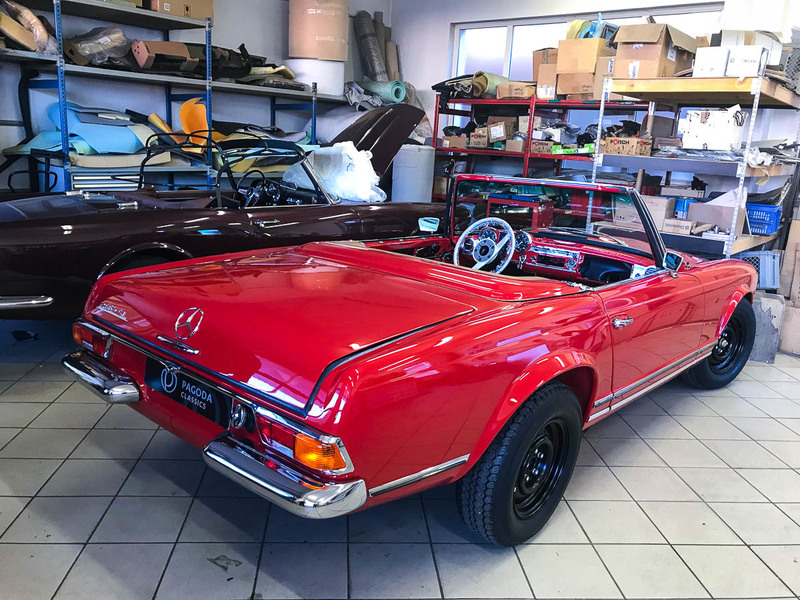 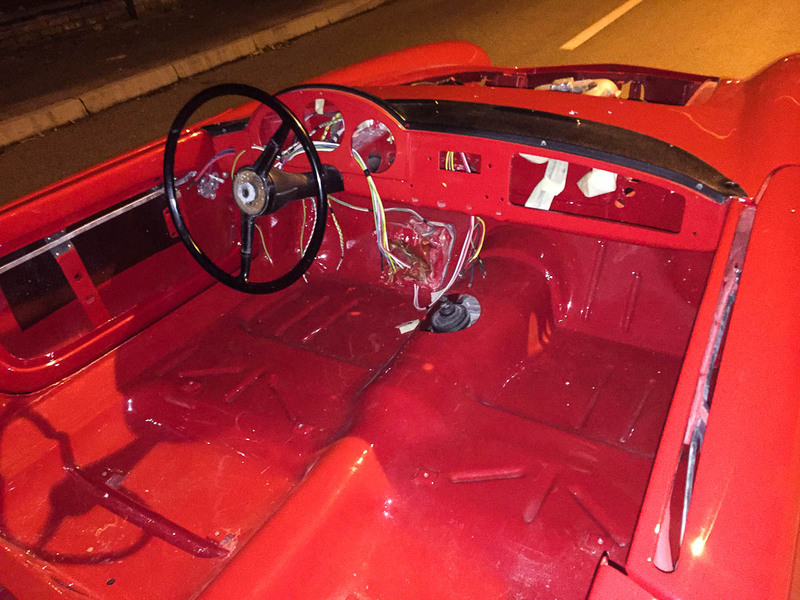 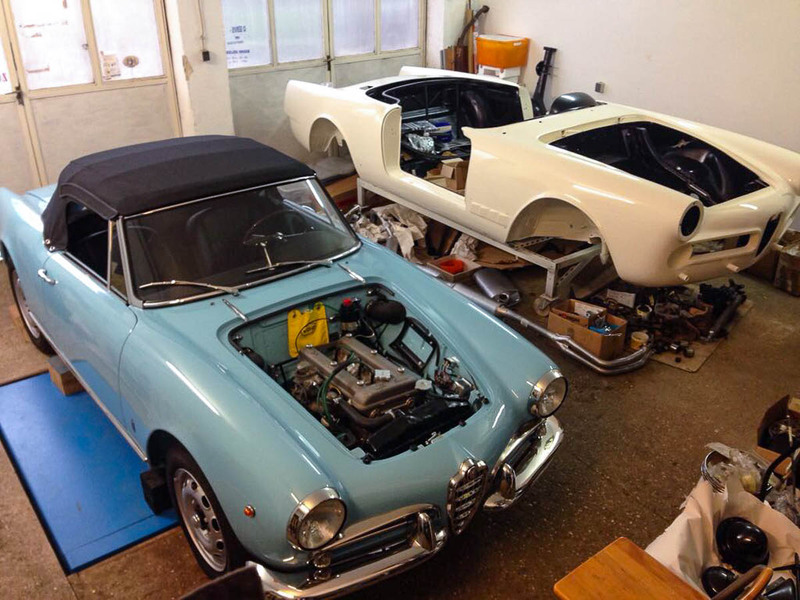 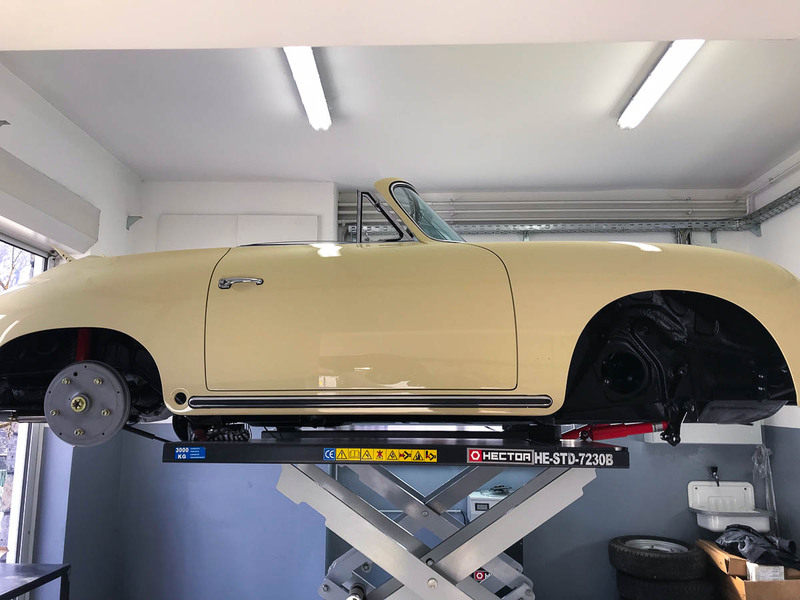 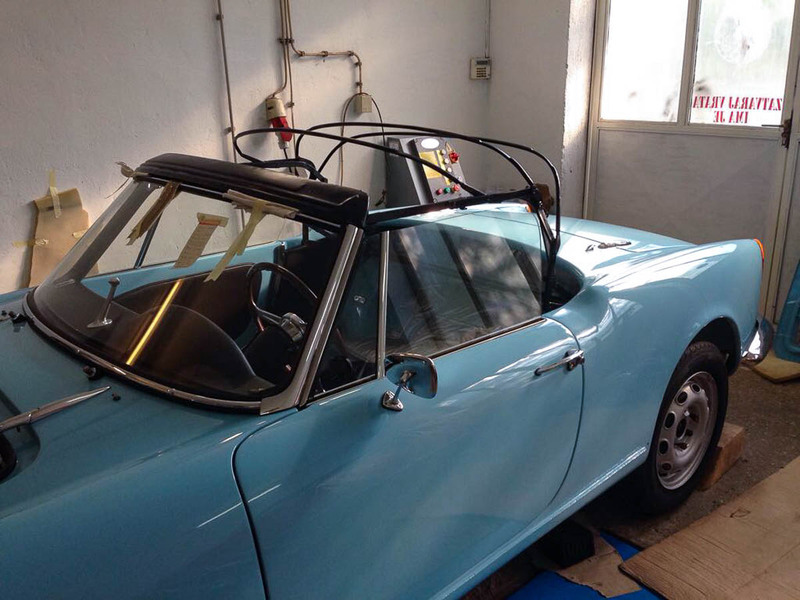 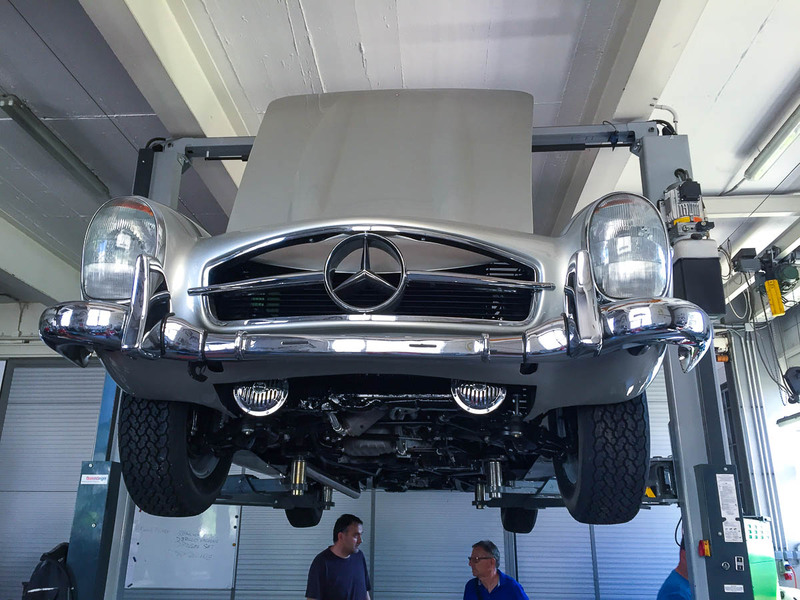 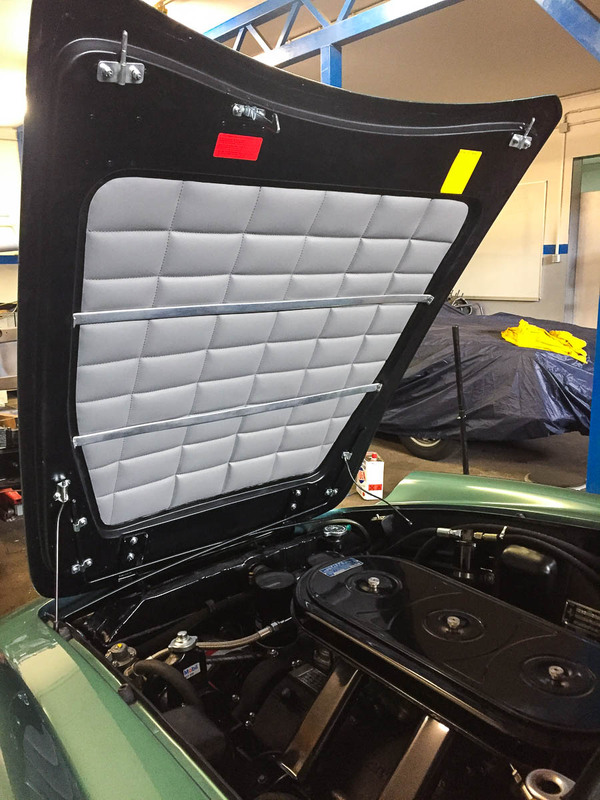 A frame off restoration, partial restoration or just minor repairs, under the roof of Pagoda Classics we provide a complete service range. 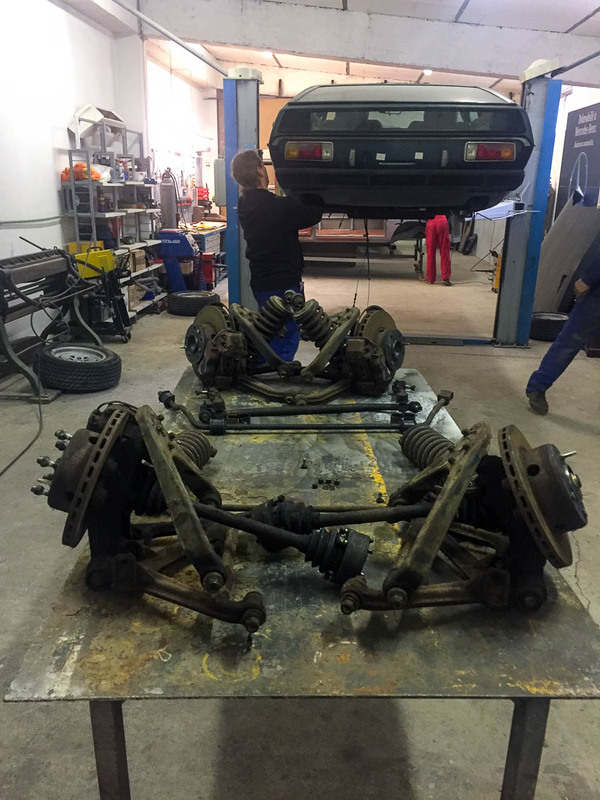 First, we completely disassemble the vehicle with every nut and bolt carefully documented. 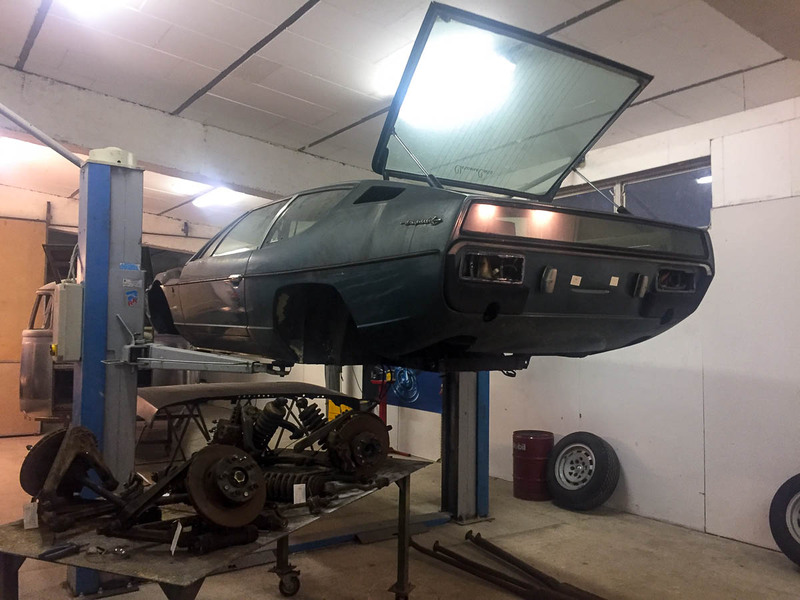 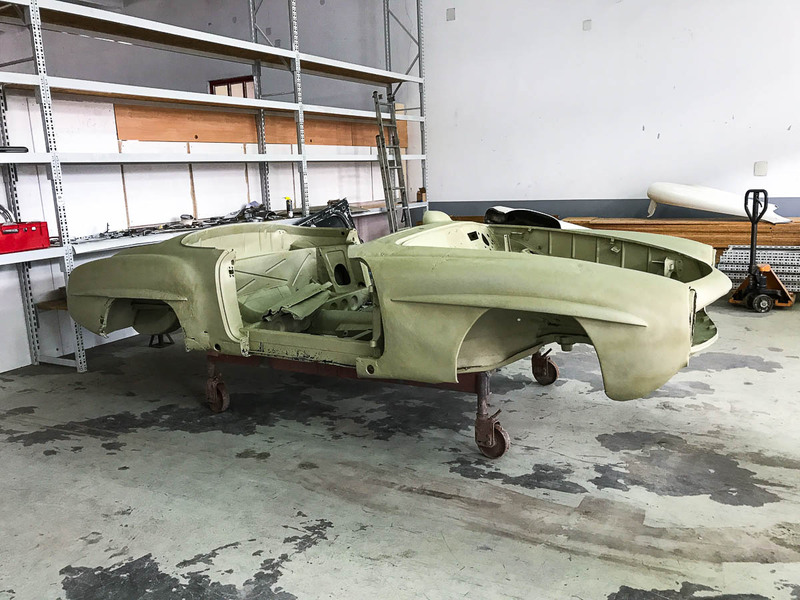 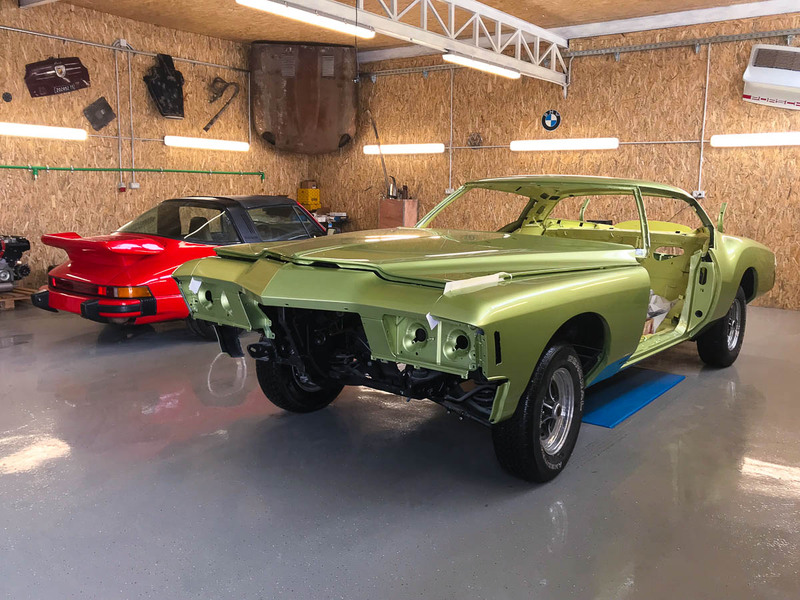 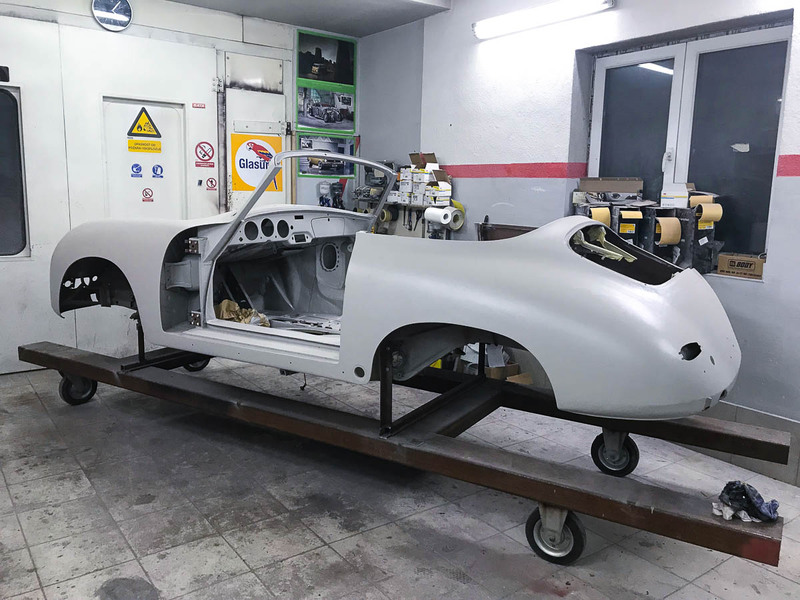 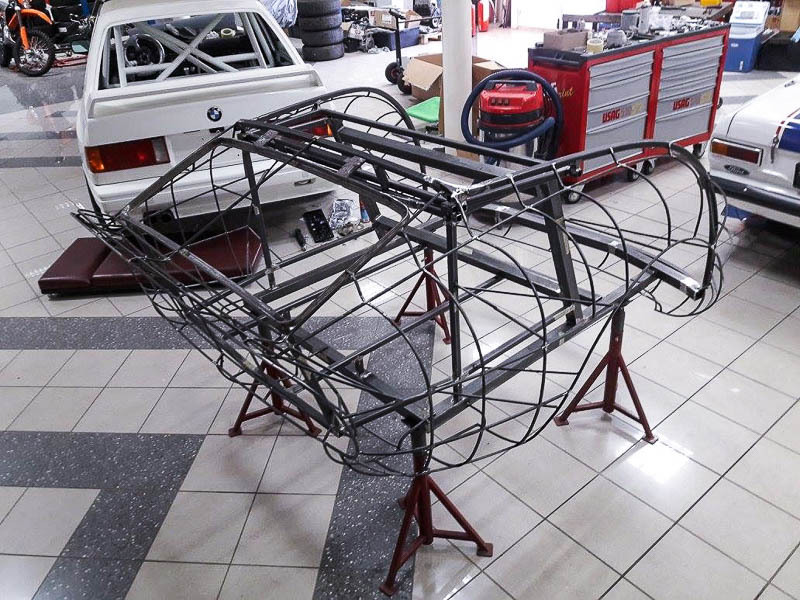 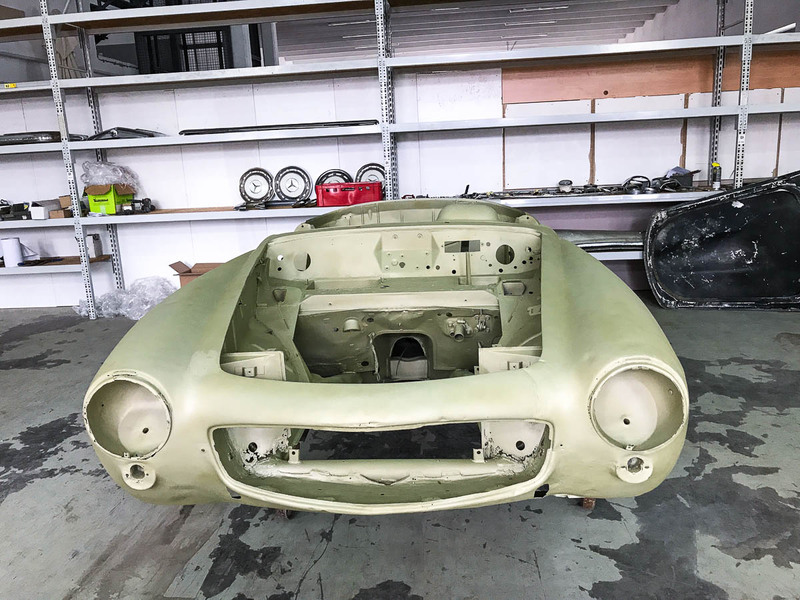 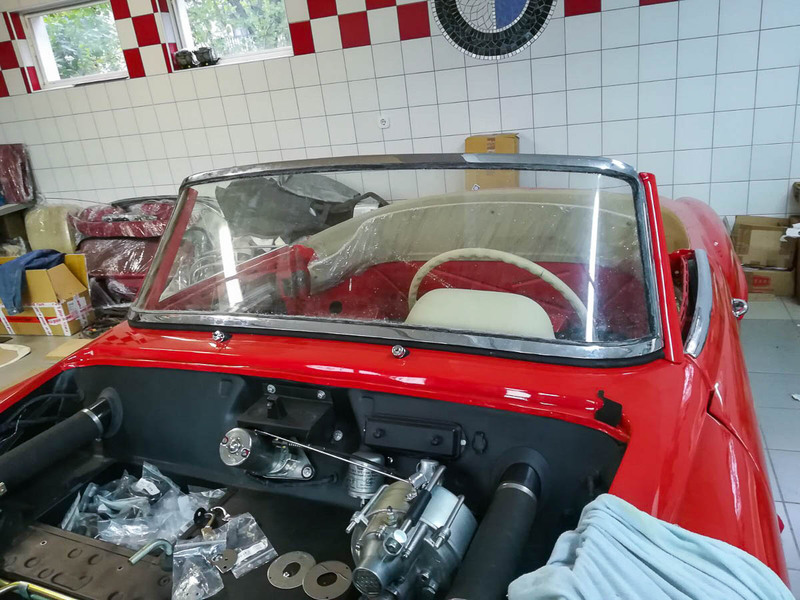 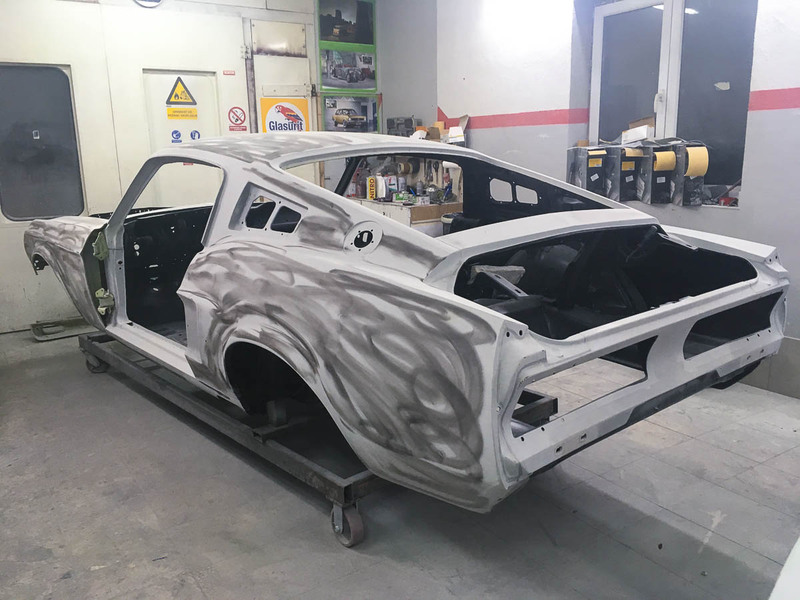 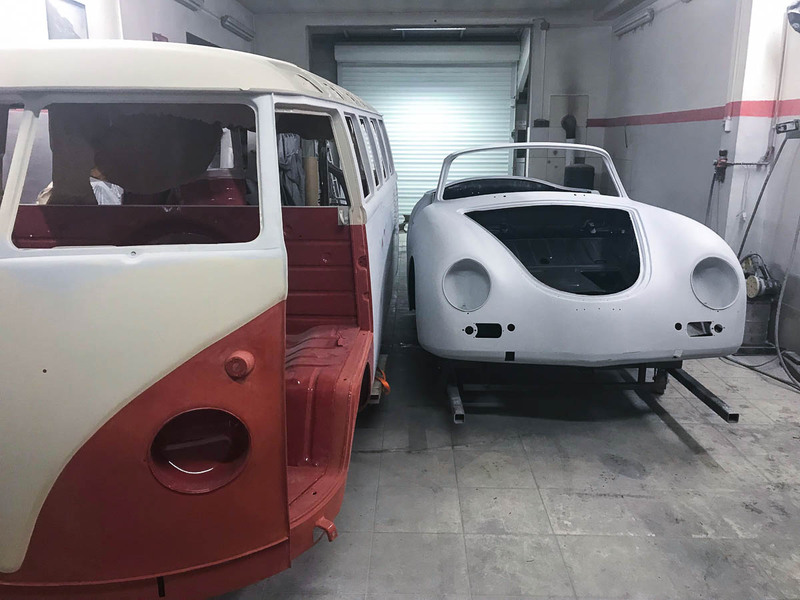 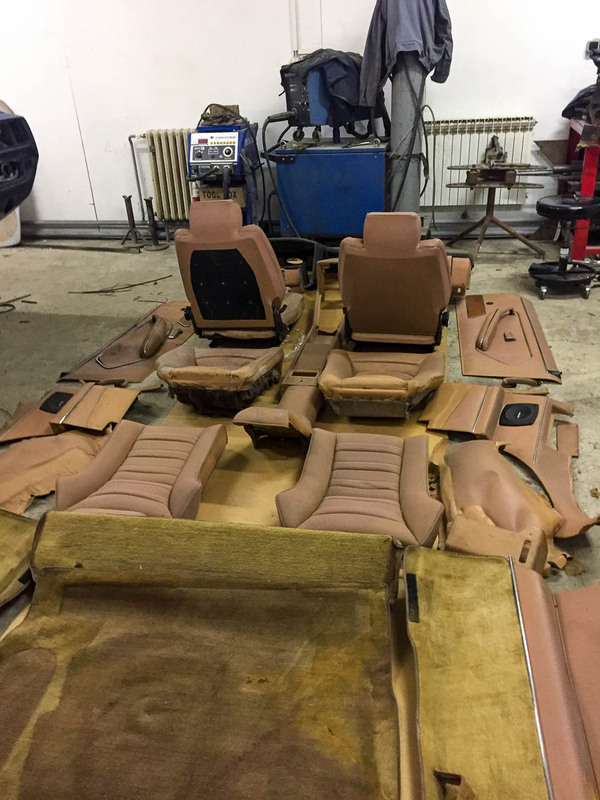 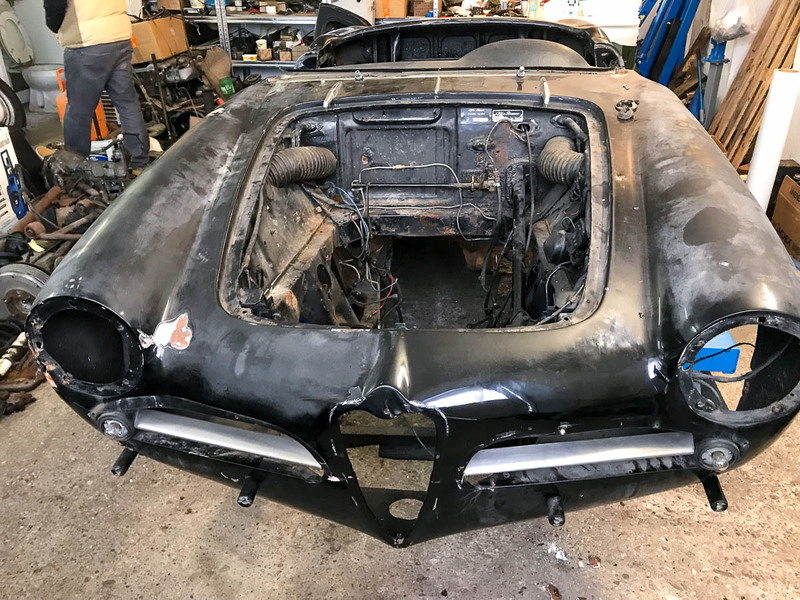 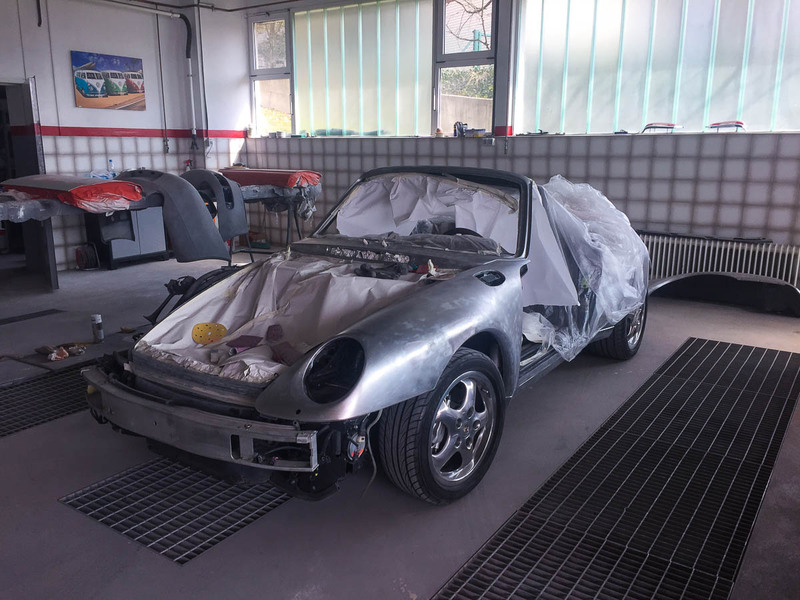 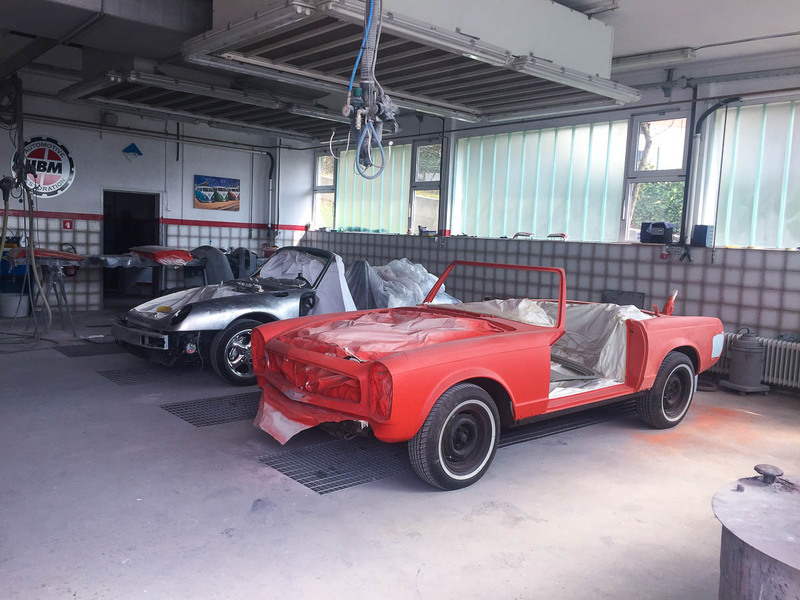 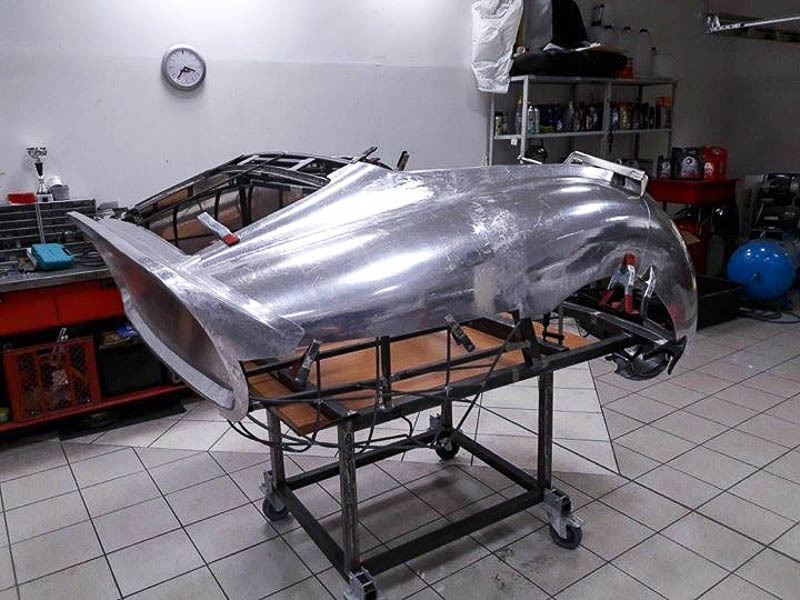 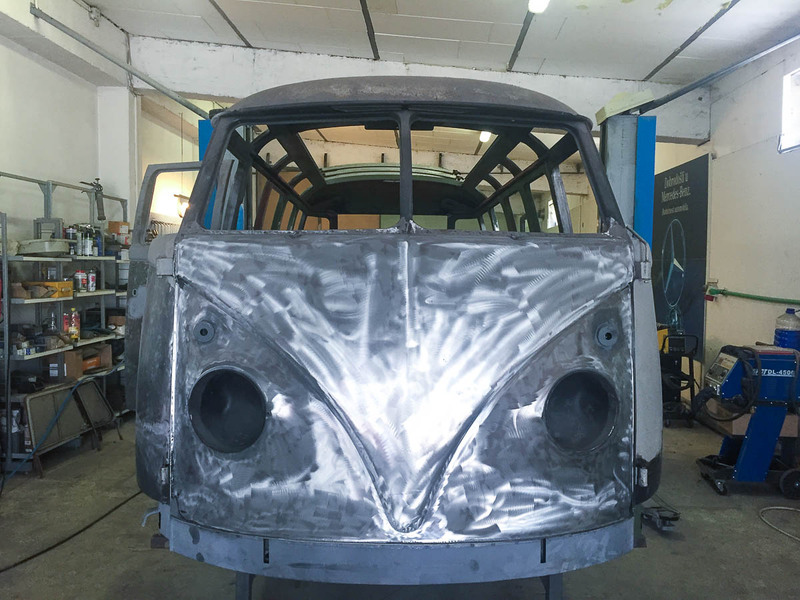 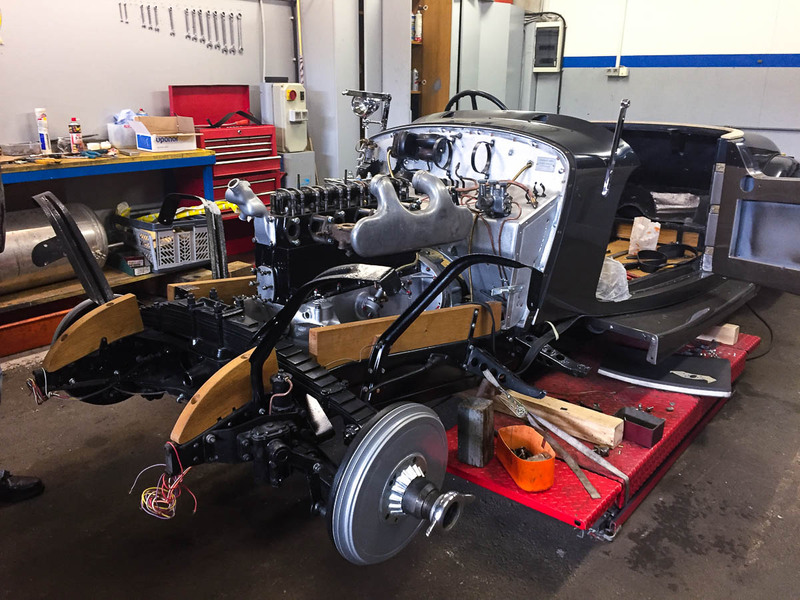 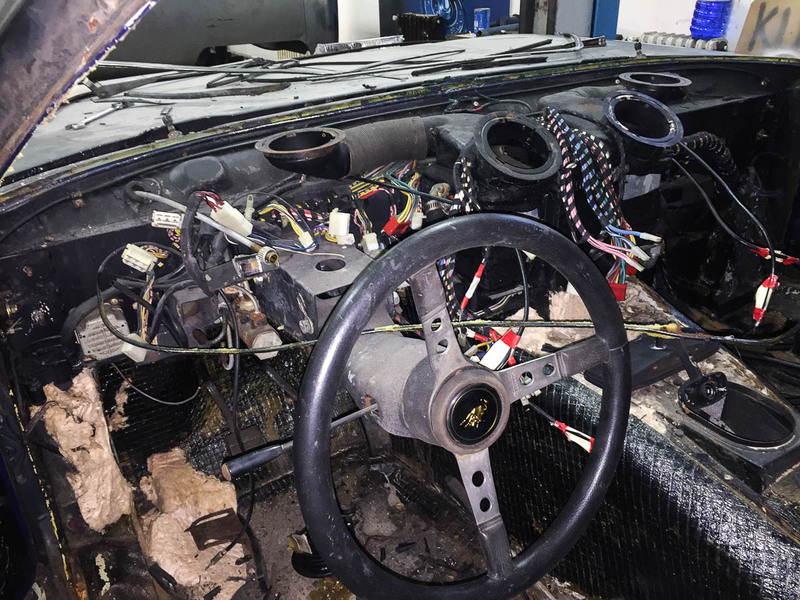 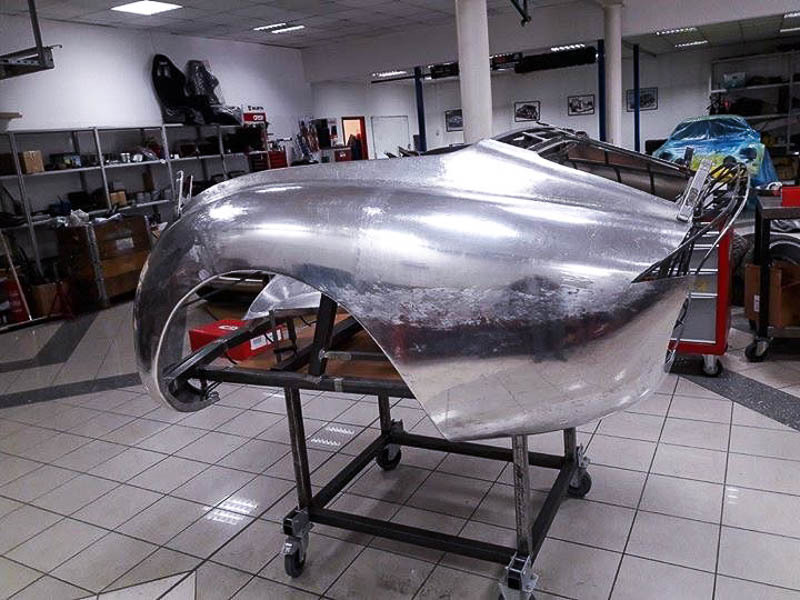 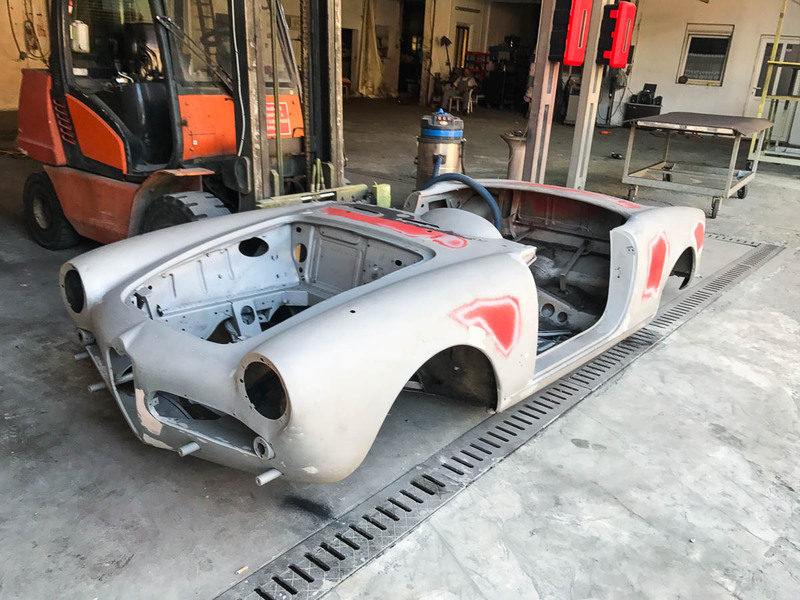 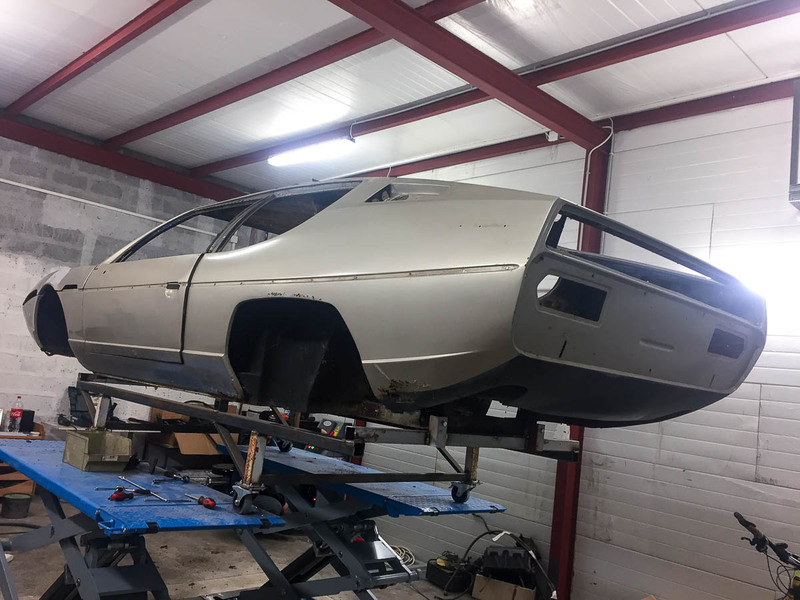 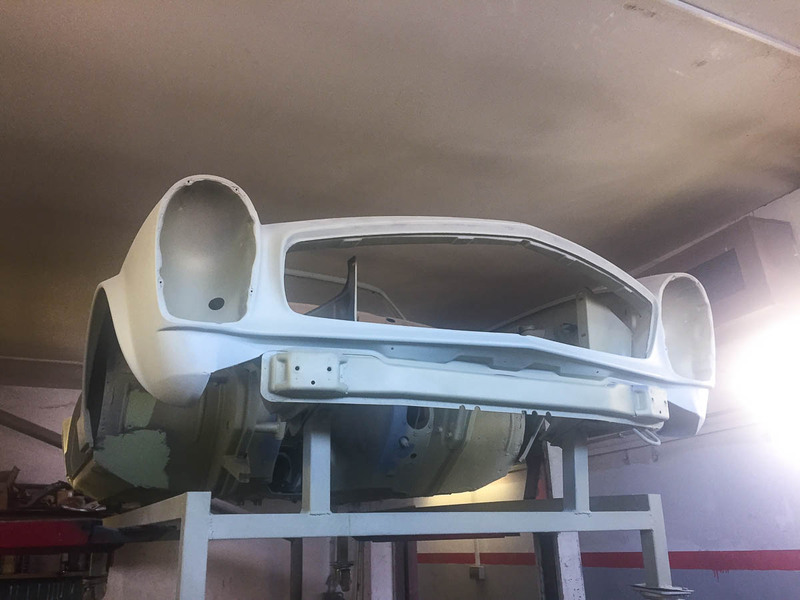 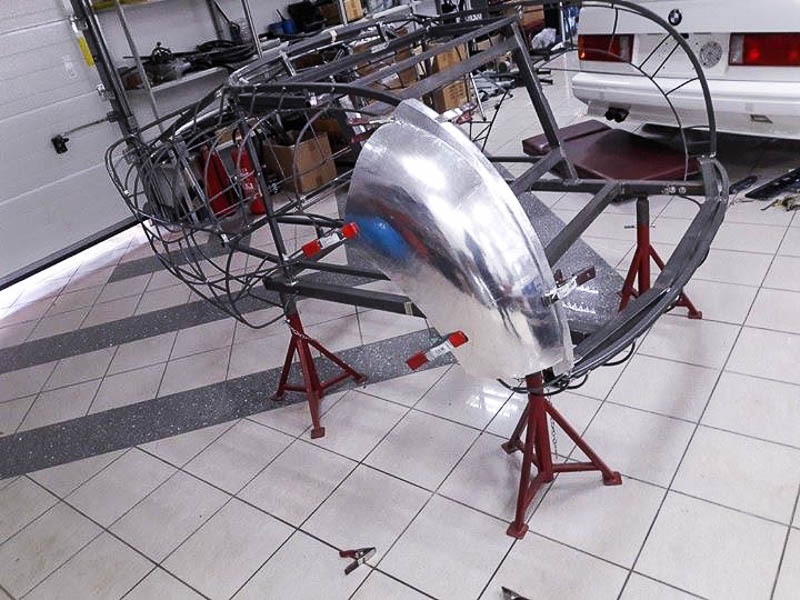 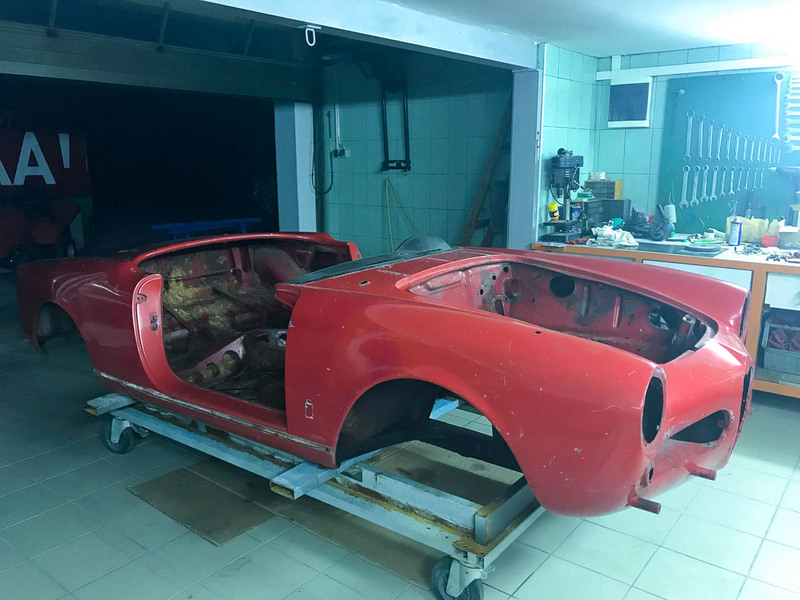 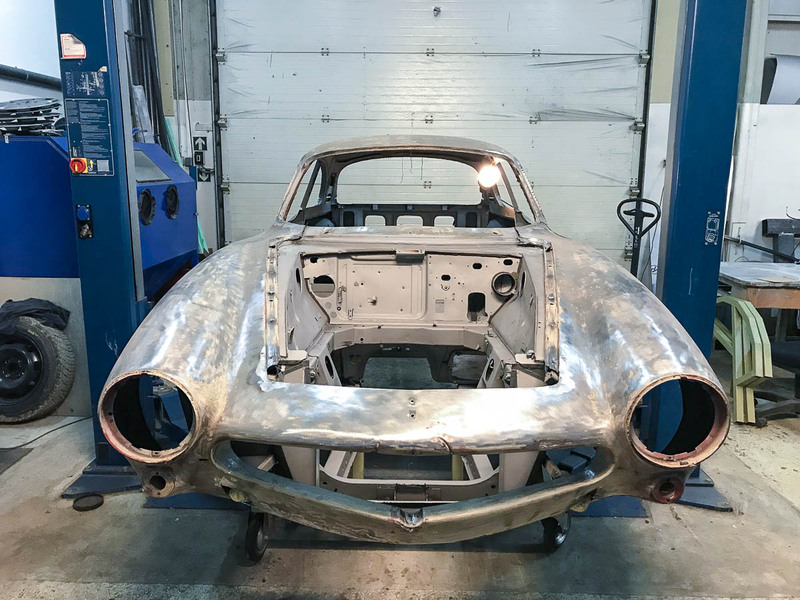 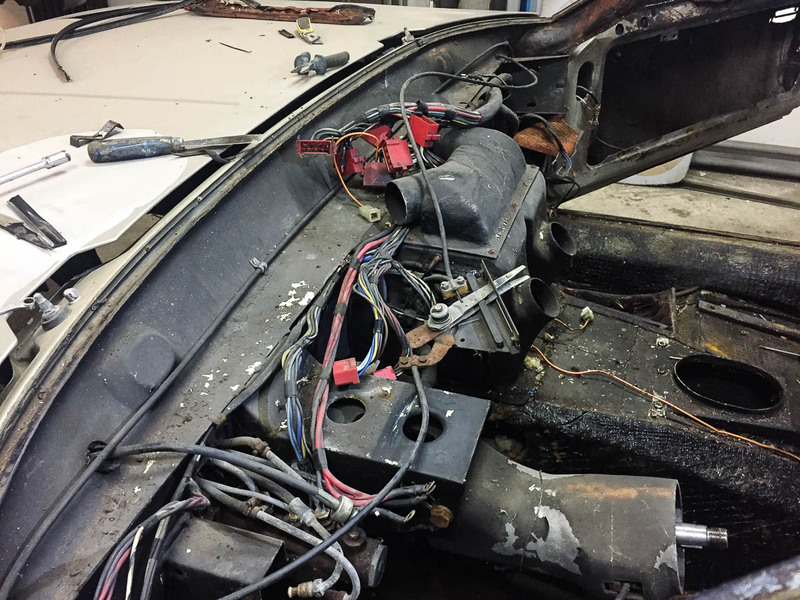 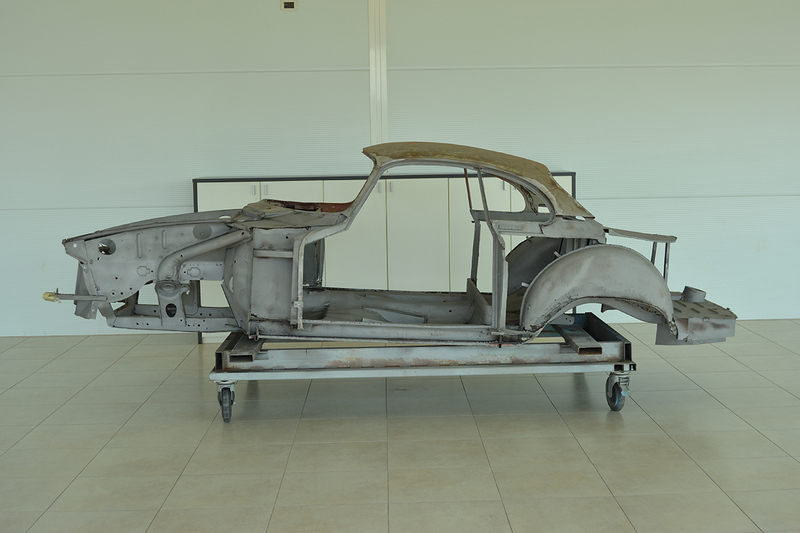 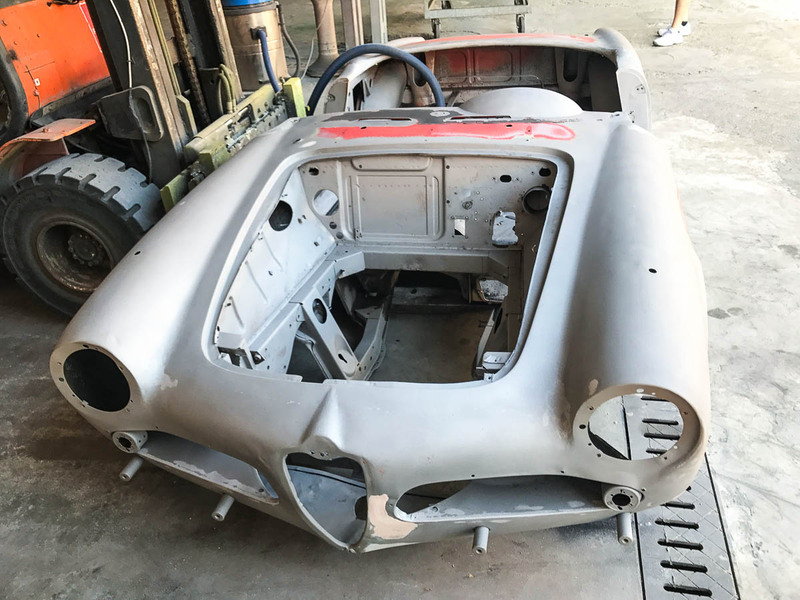 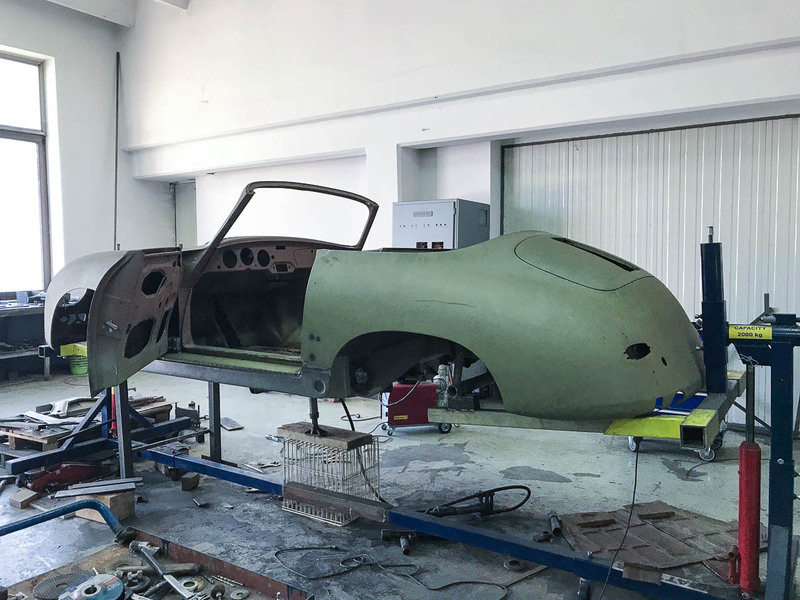 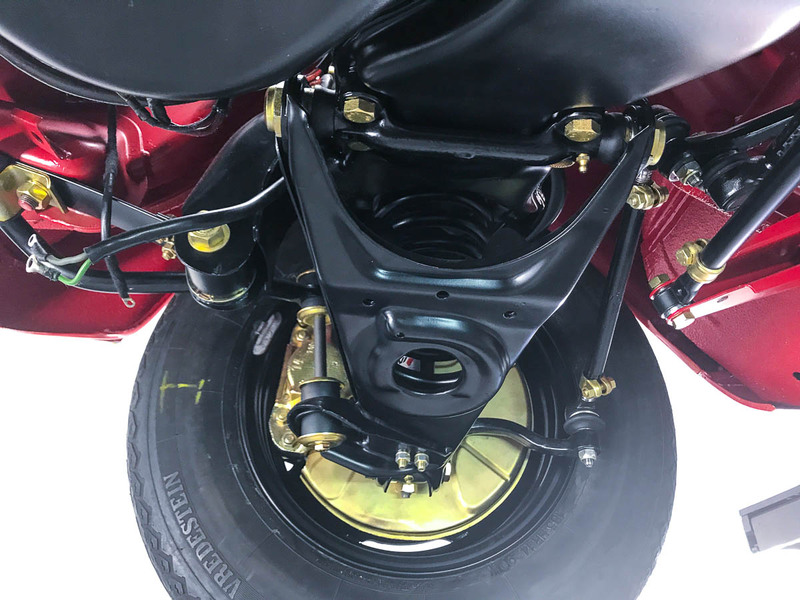 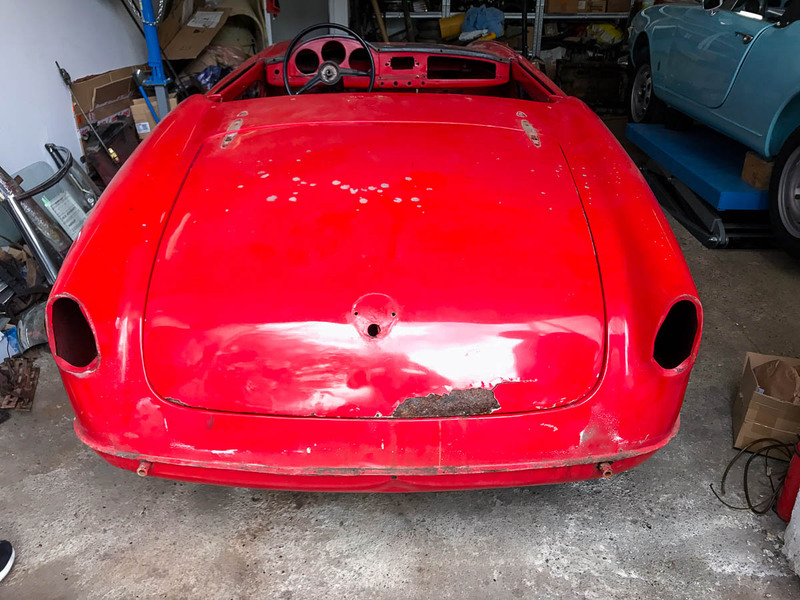 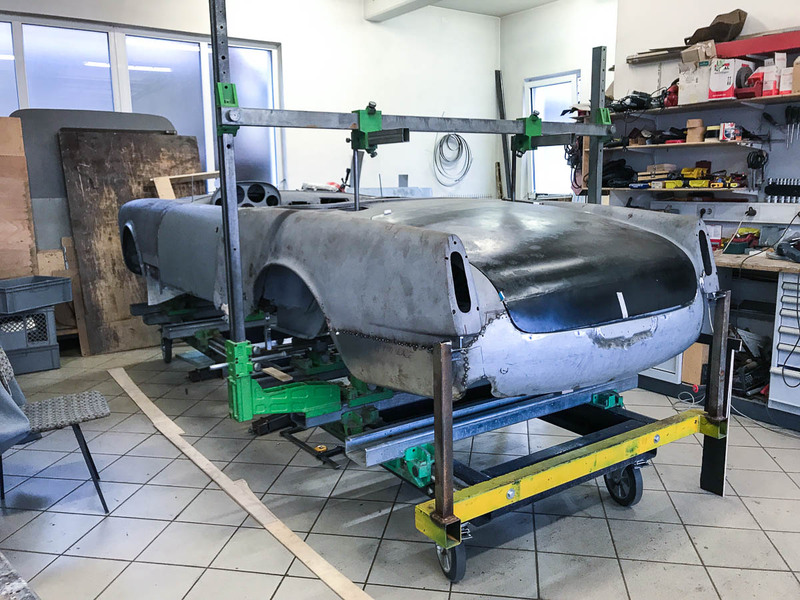 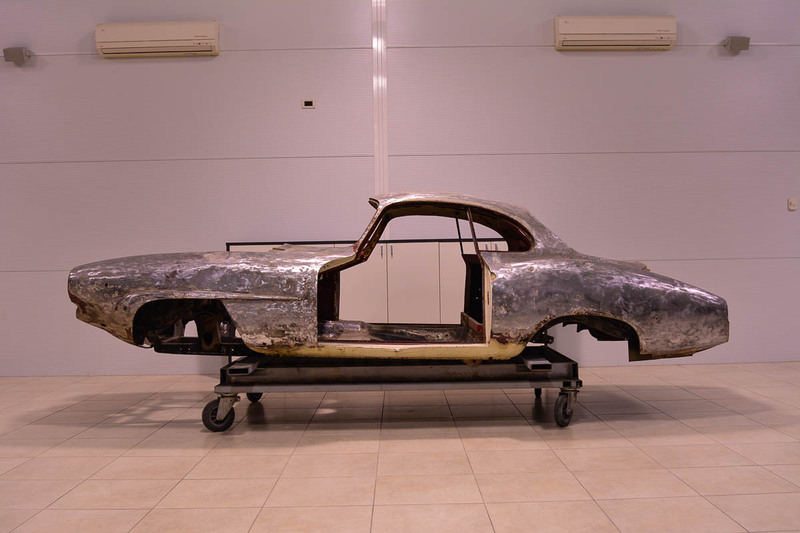 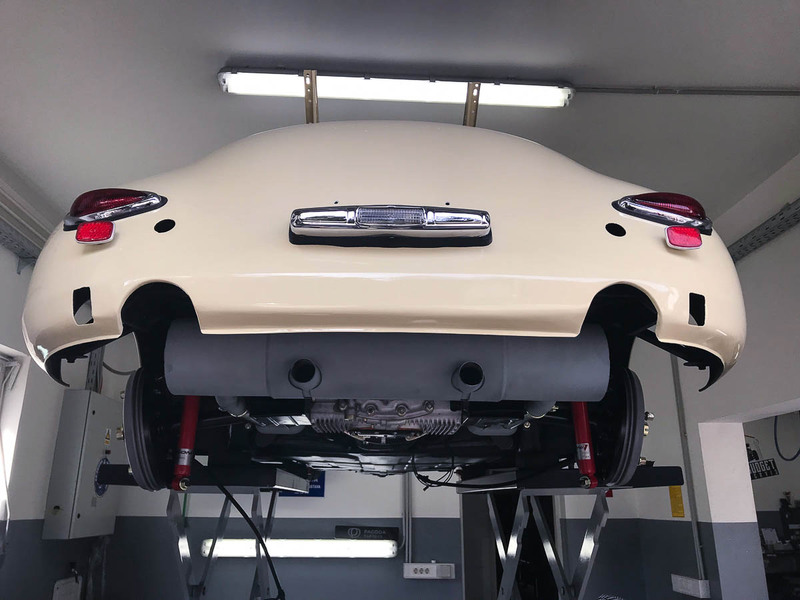 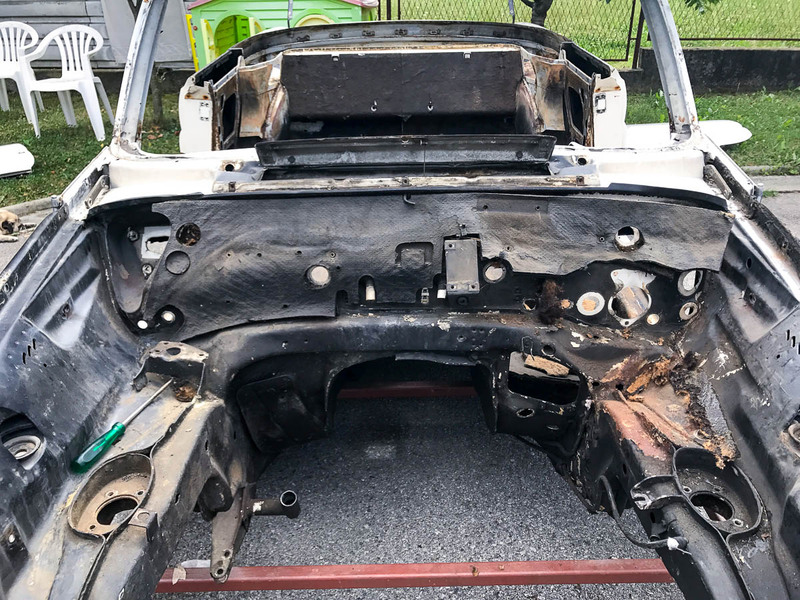 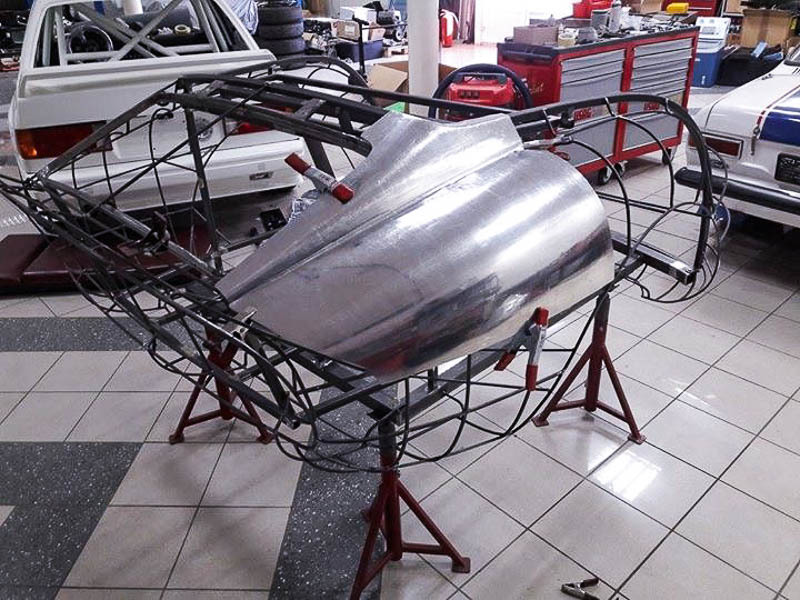 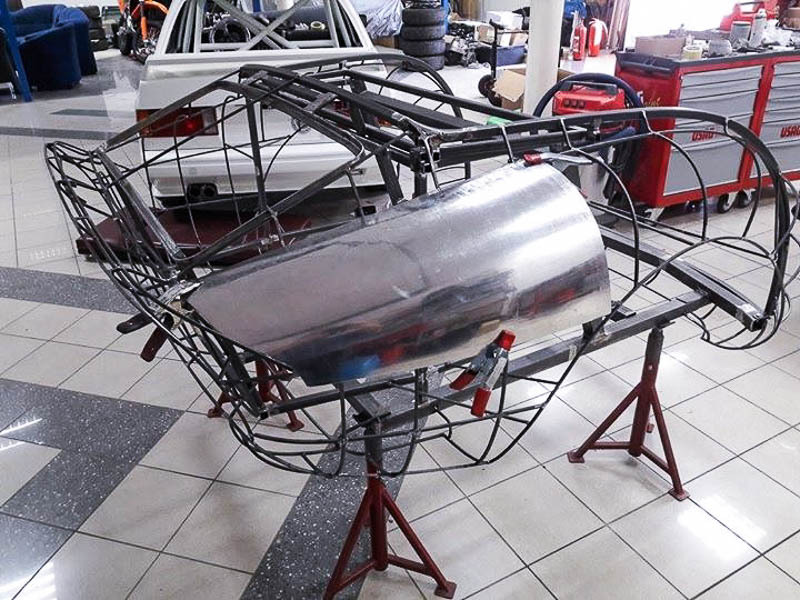 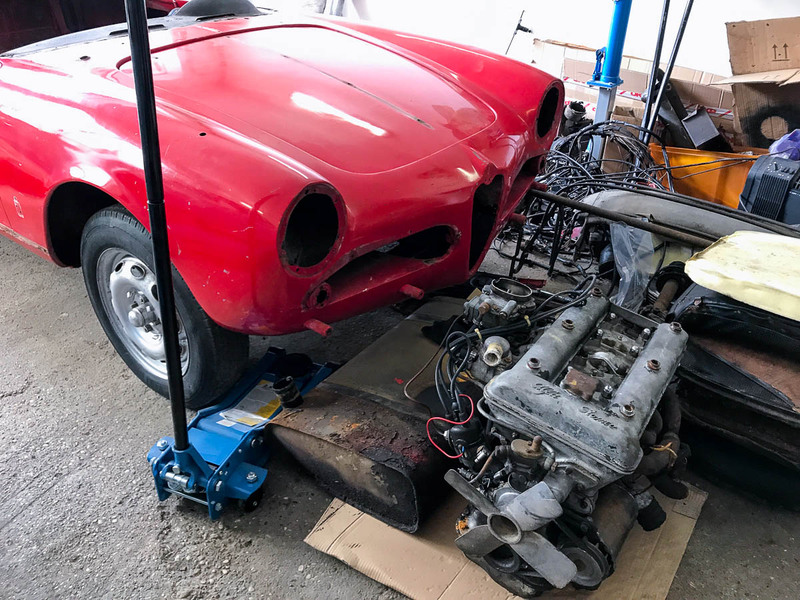 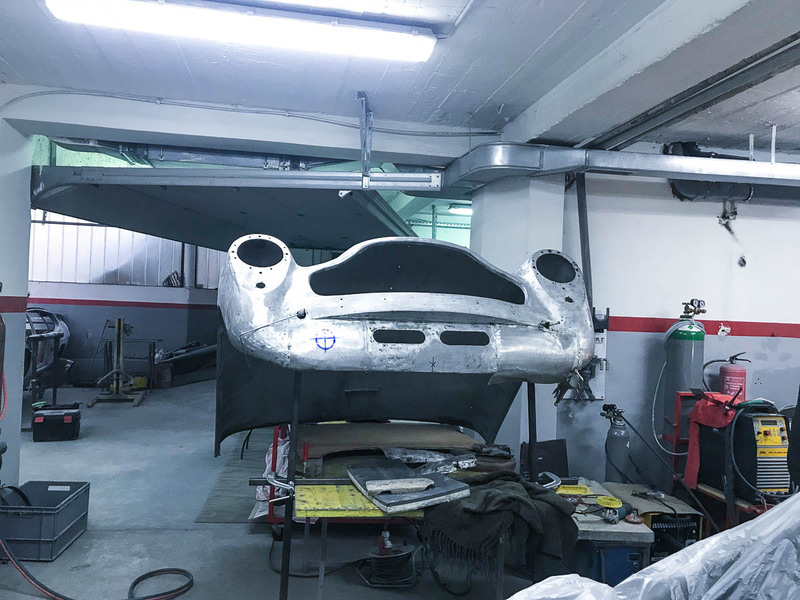 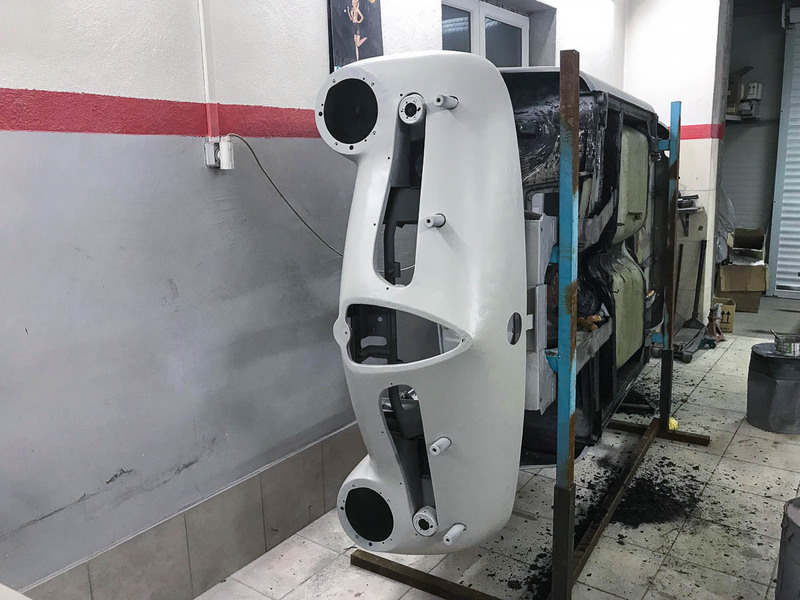 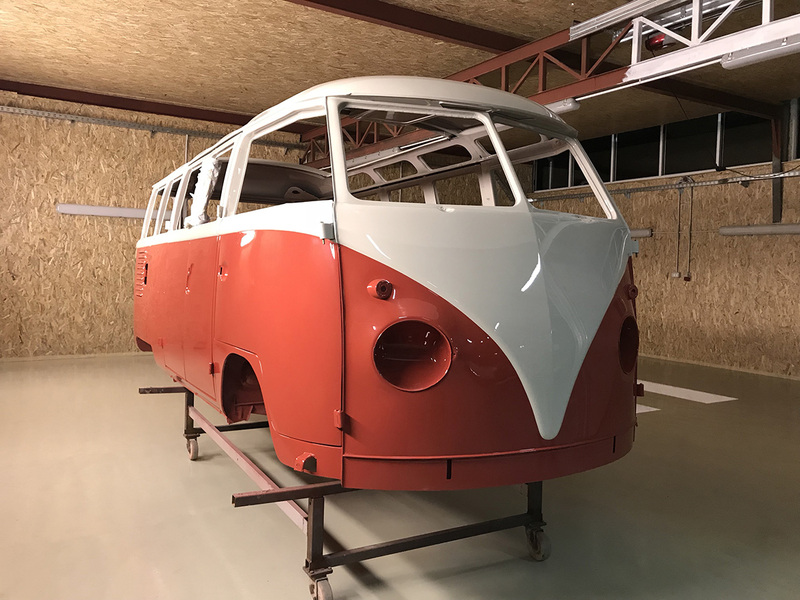 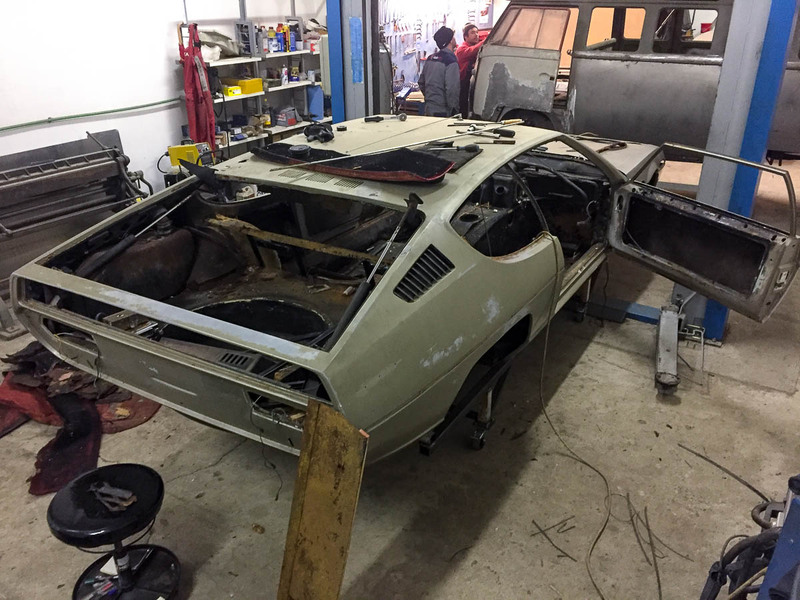 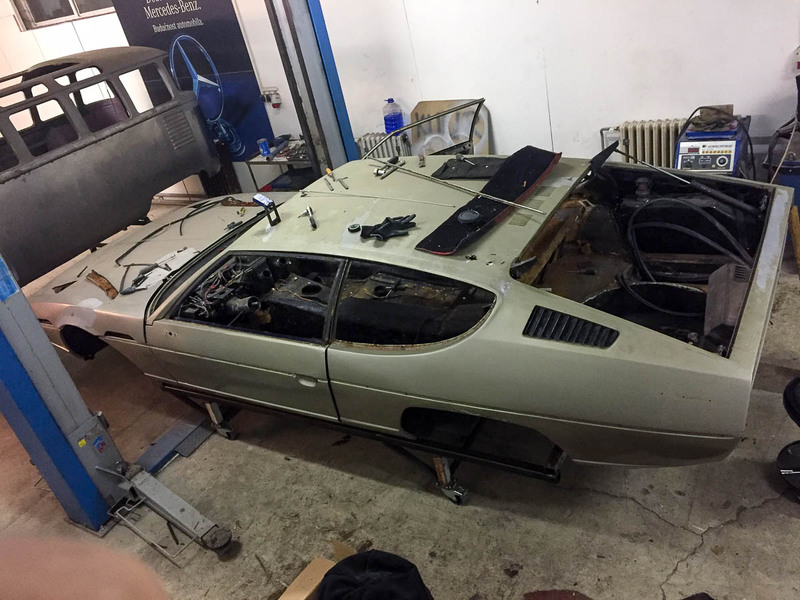 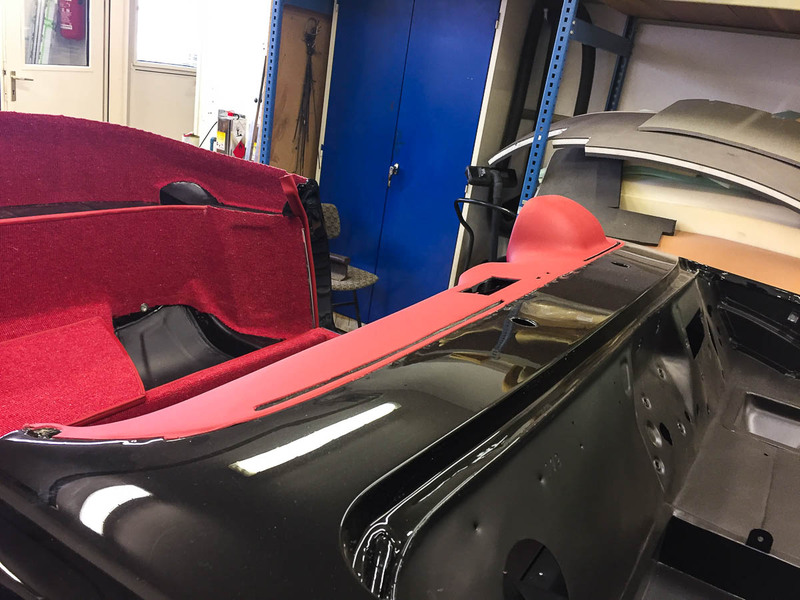 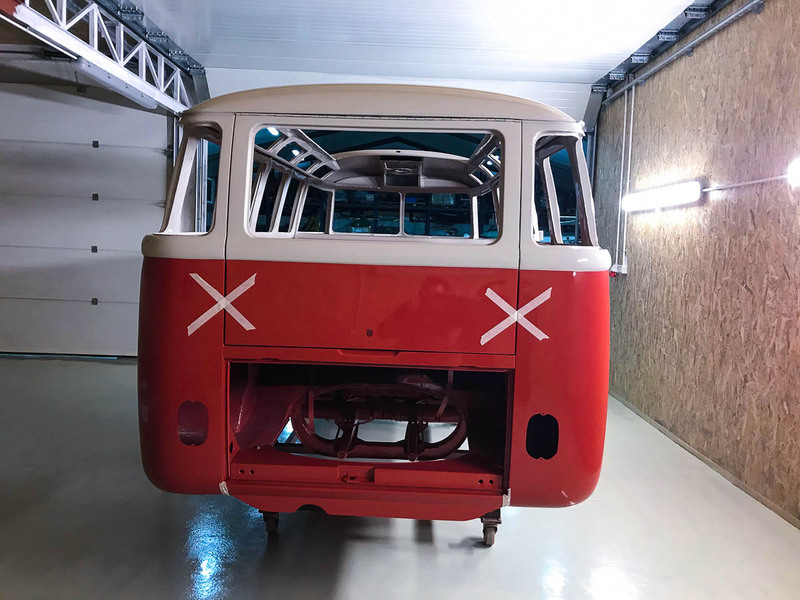 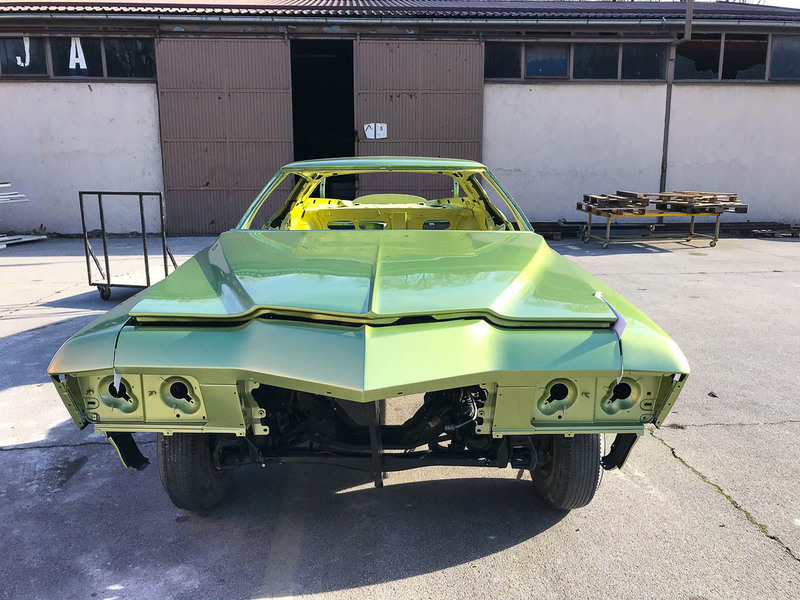 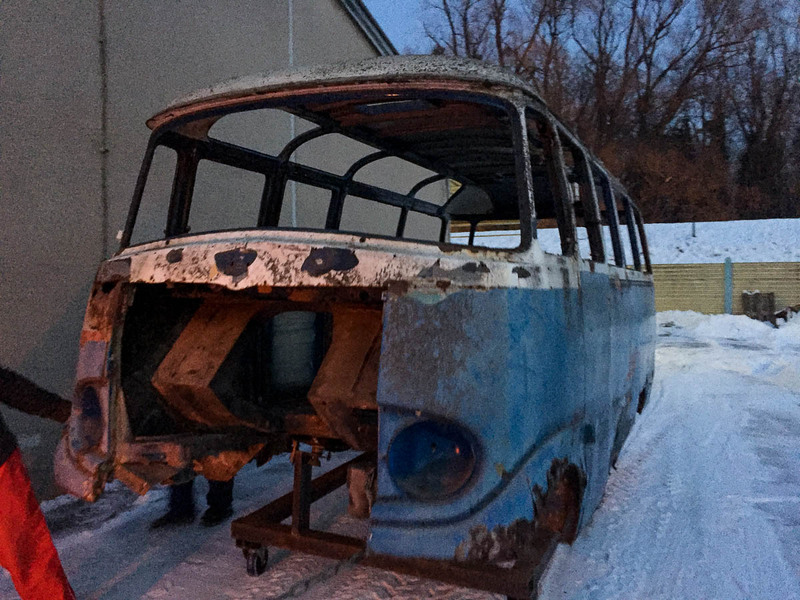 This stage includes detachment of the body and the chassis, mechanical removal of the paint, glass and wooden parts, removal of electrical installations, extraction of the engine and other required actions to get the body stripped to the metal. 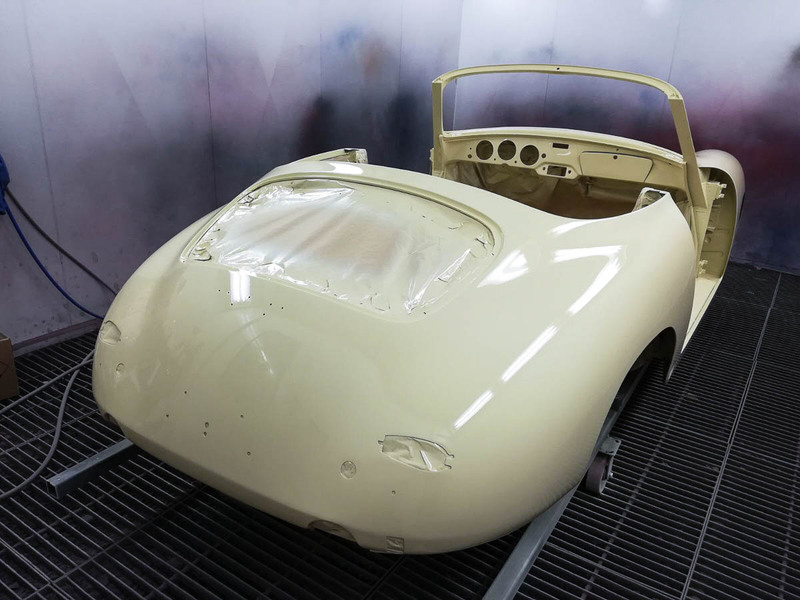 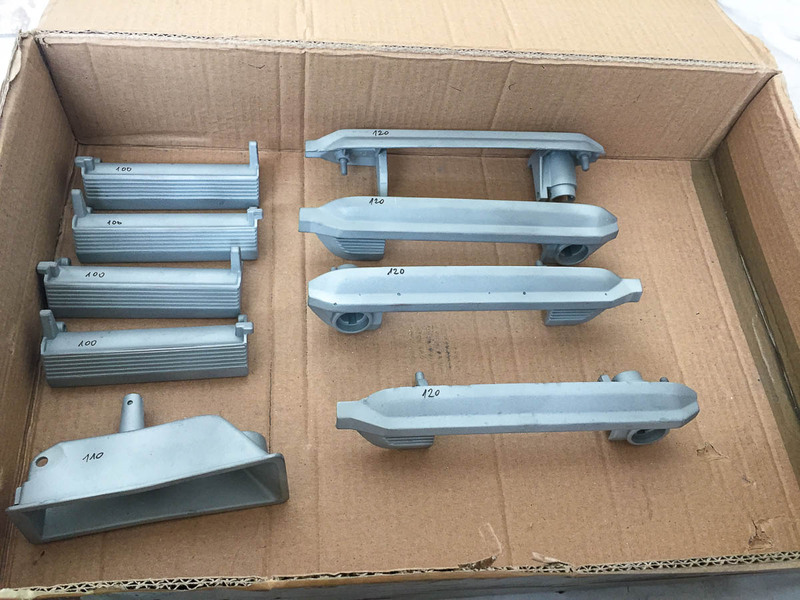 Blasting and priming are extremely important steps of preparing a surface for painting. 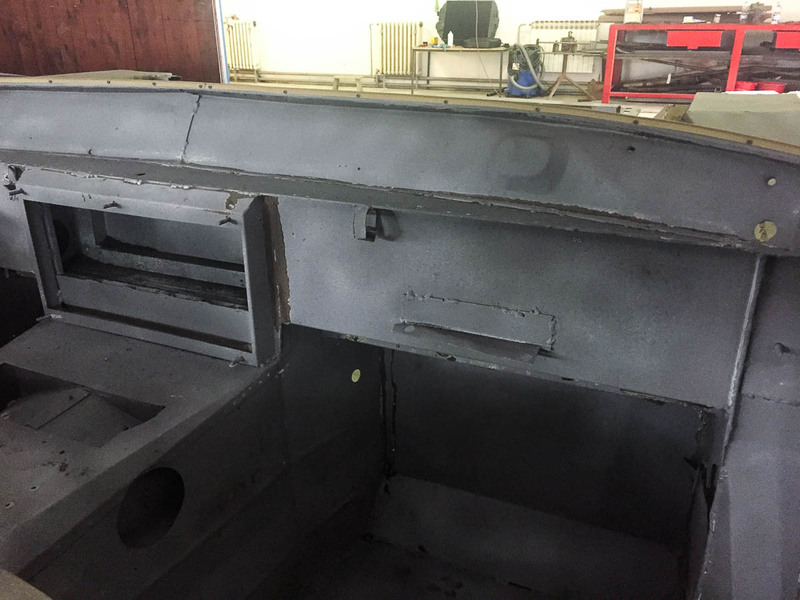 The body, undercarriage and other parts that need it will be soda-blasted and epoxy primed. 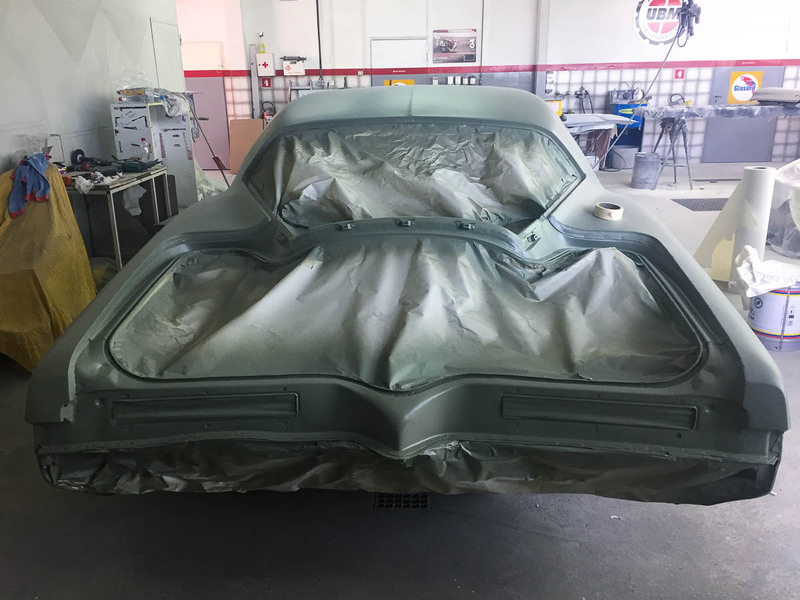 Our bodywork experts deal with the worst cases and bring them to perfect condition. 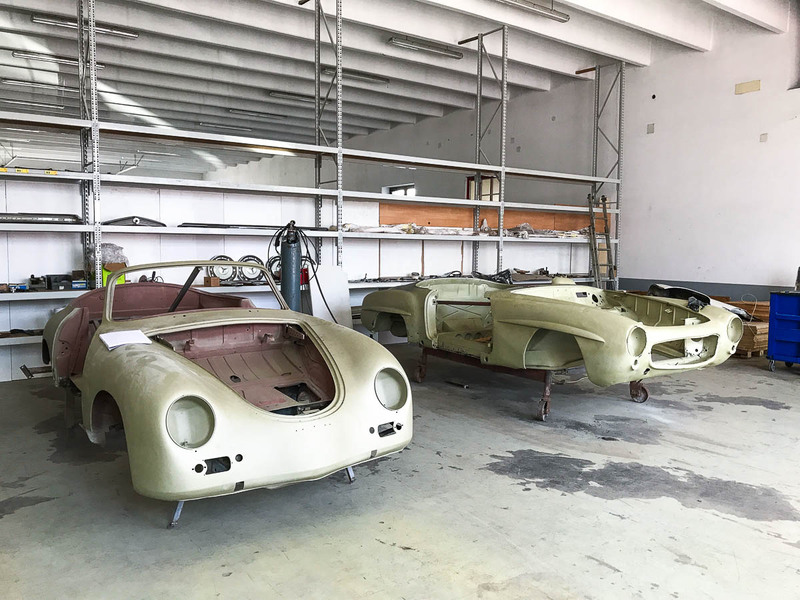 In lots of cases, they have to fix previous restoration flaws. 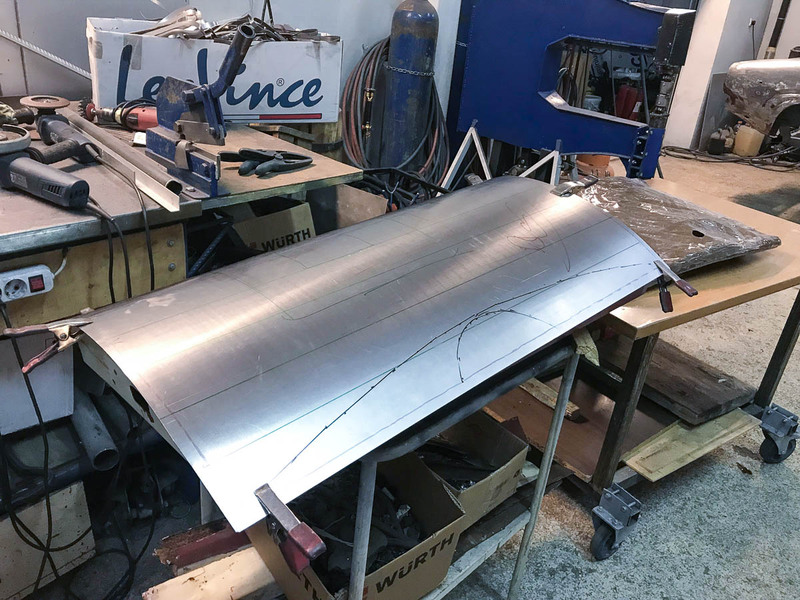 This stage includes “sheet to sheet” welding technique. 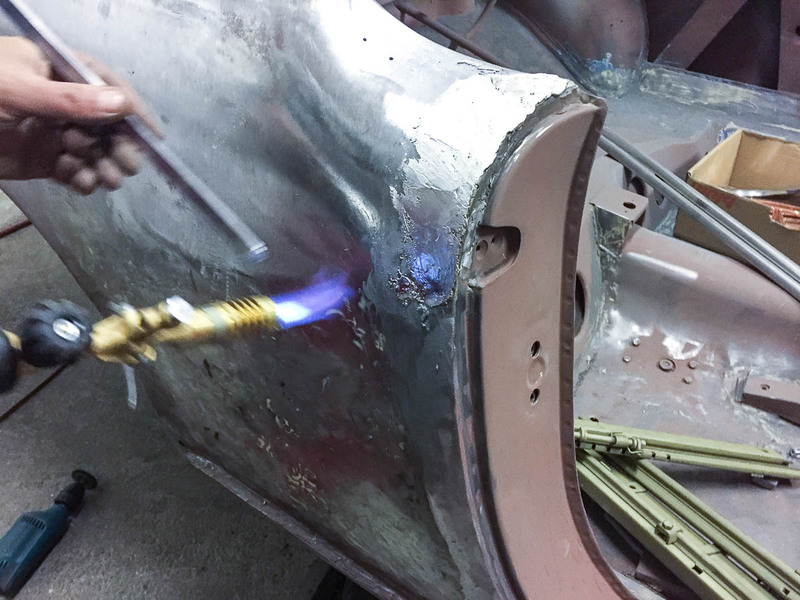 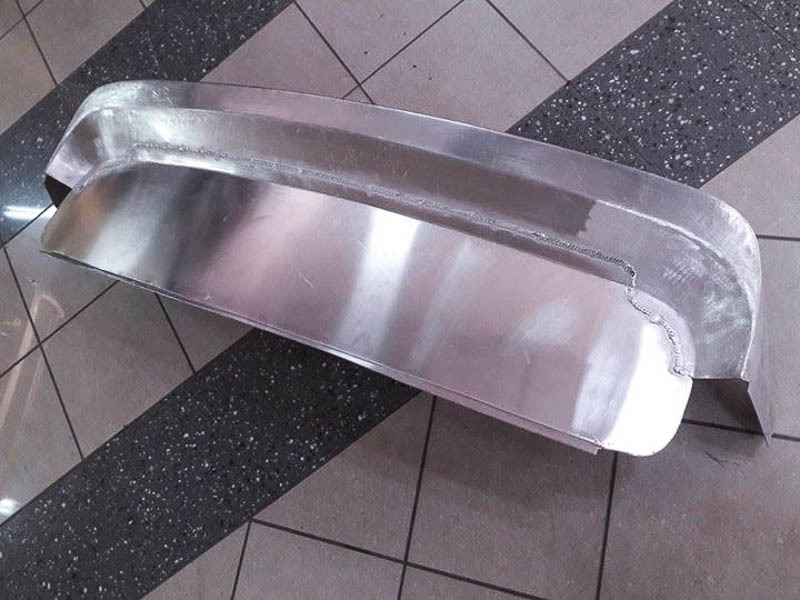 Welding spots will be covered with zinc and grinded, so the welding points will not be visible. 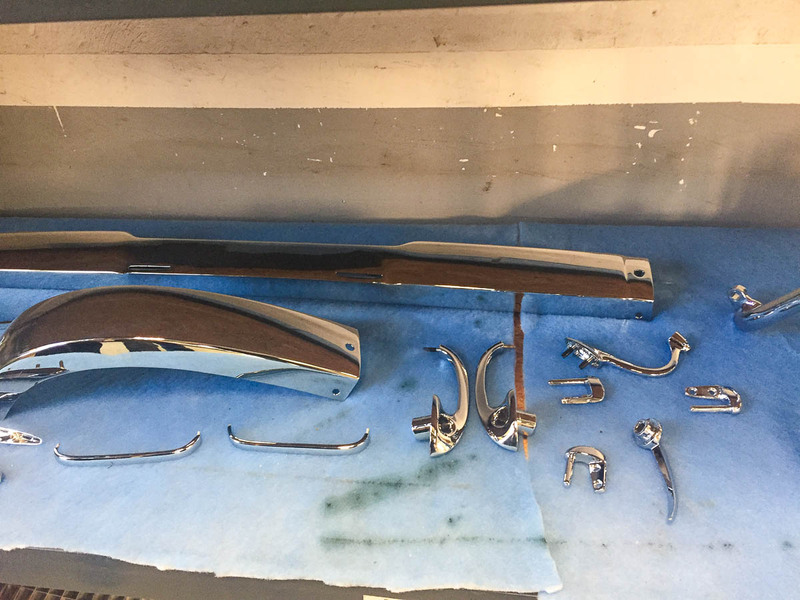 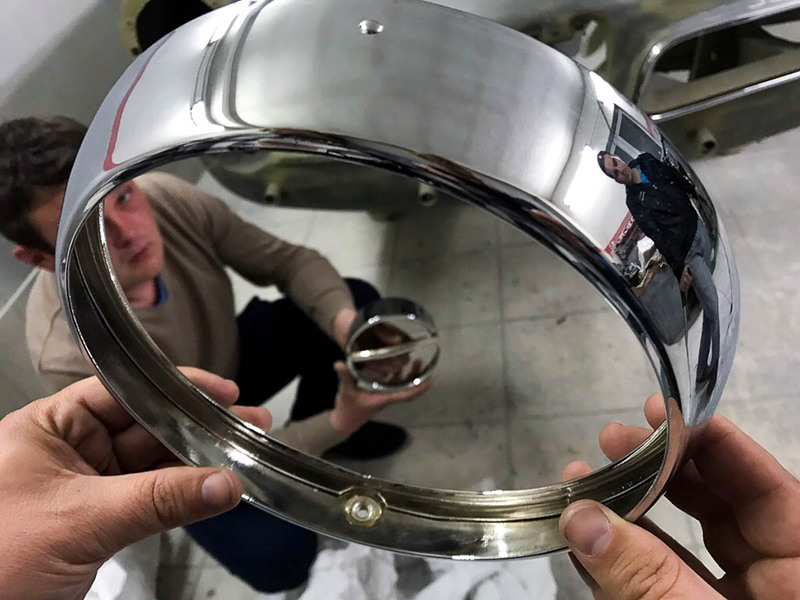 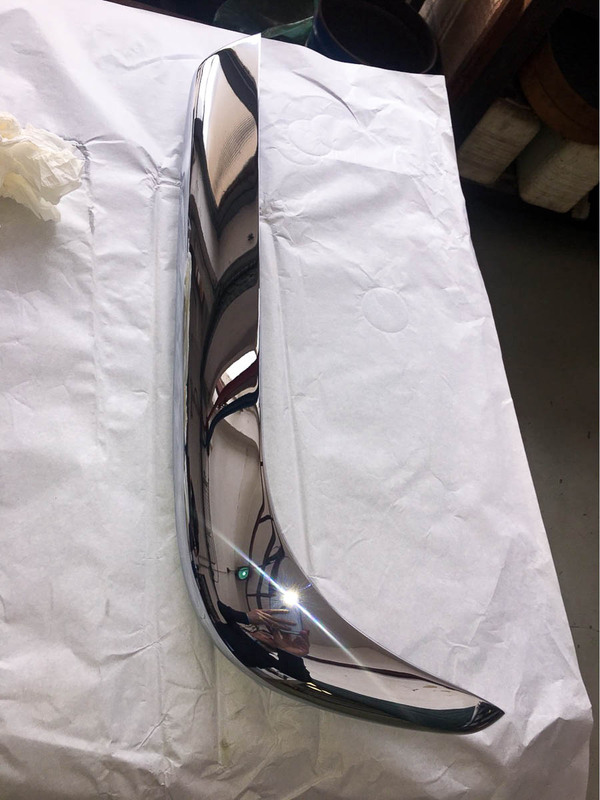 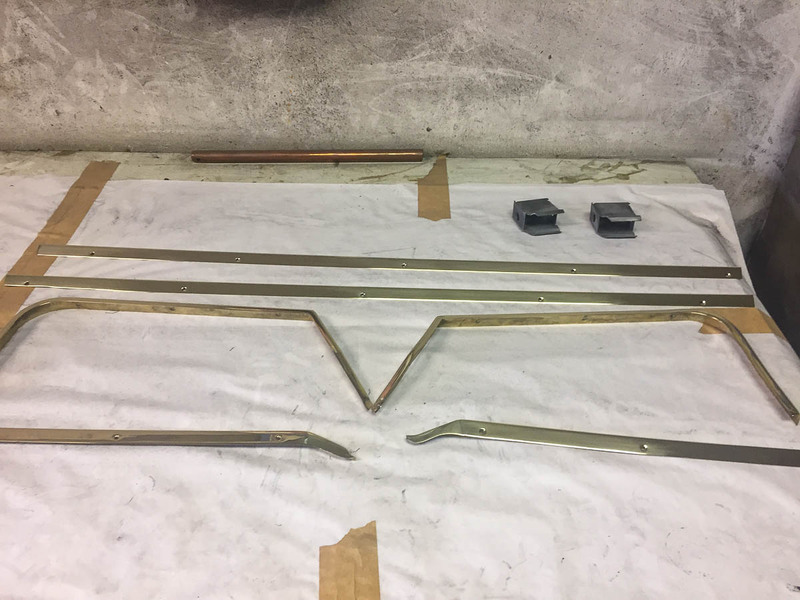 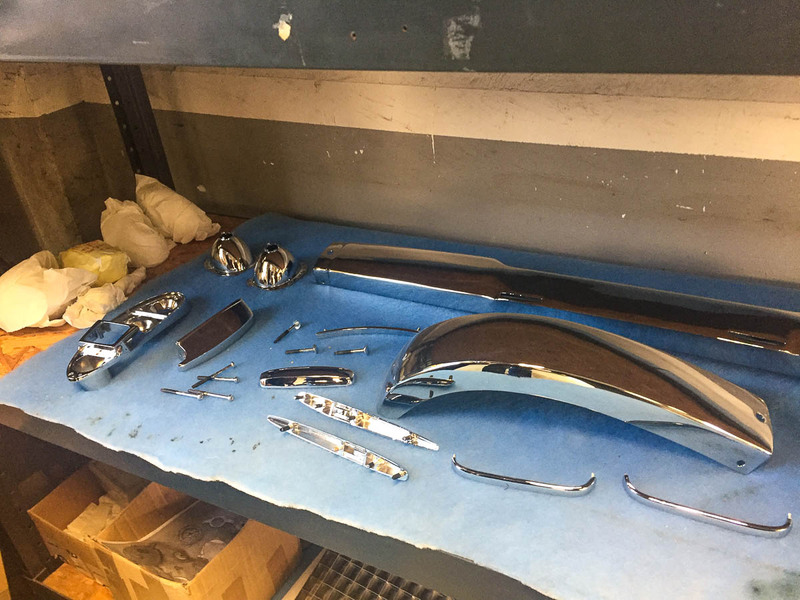 Old chrome layers from all chromed parts will be chemically removed to get to the surface level. 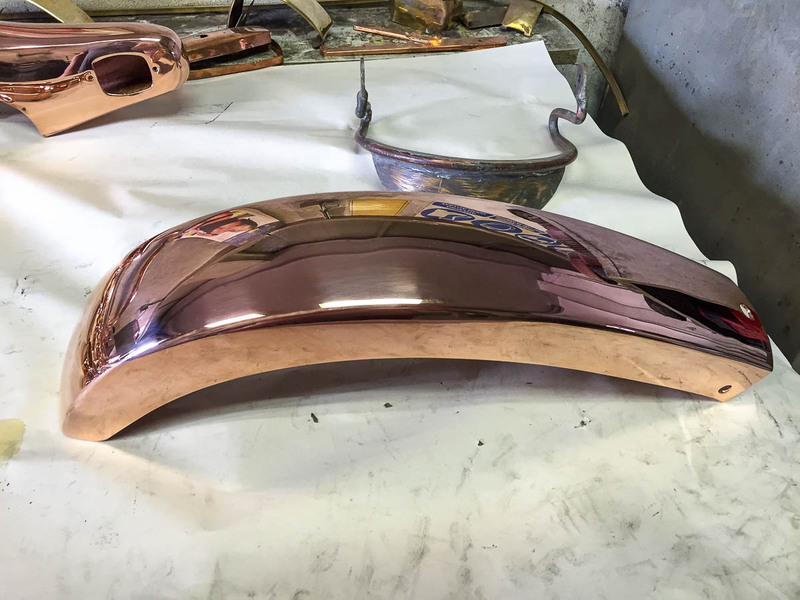 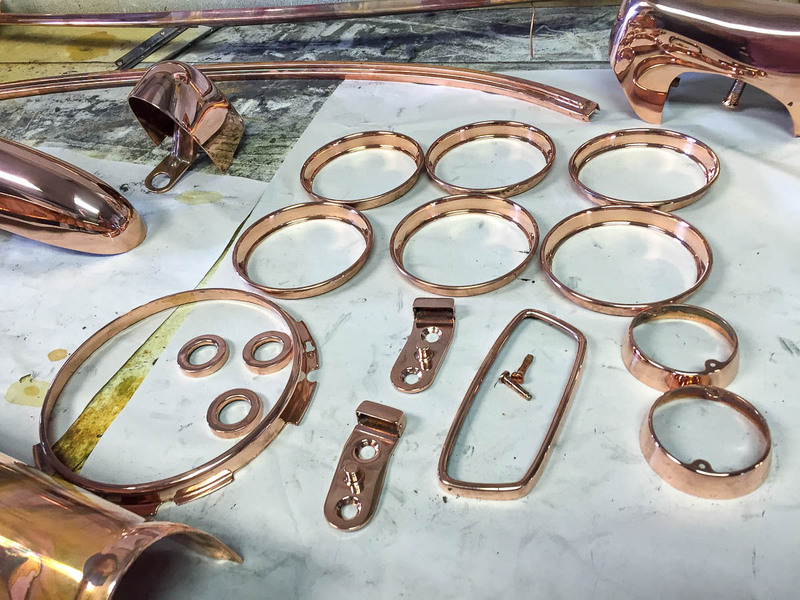 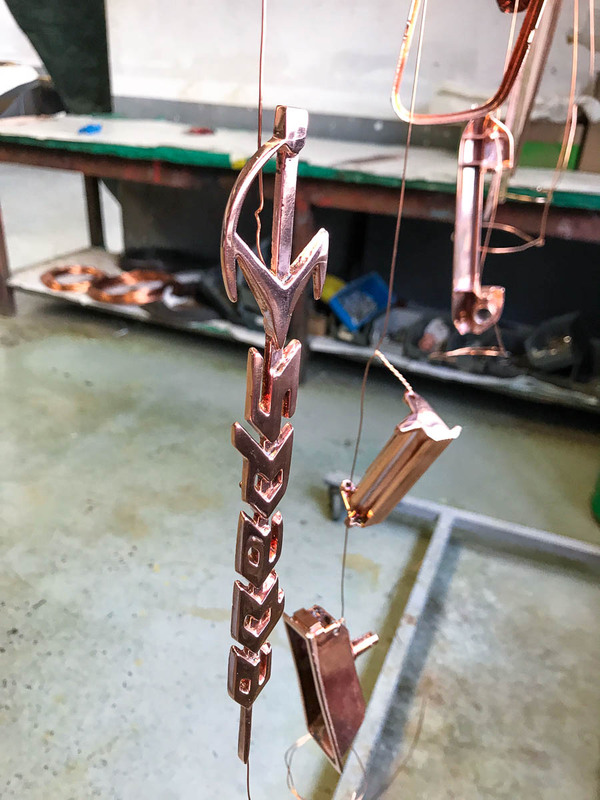 Where necessary, surfaces will be grinded and copper applied. 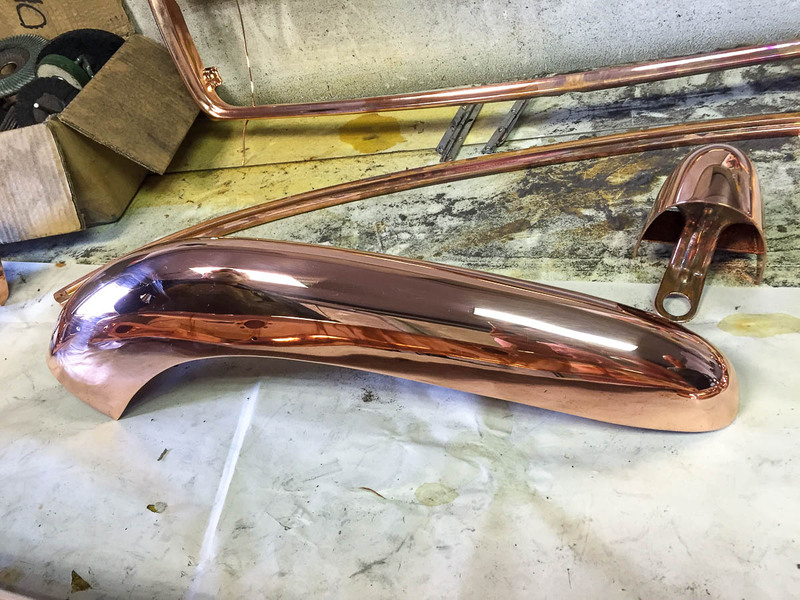 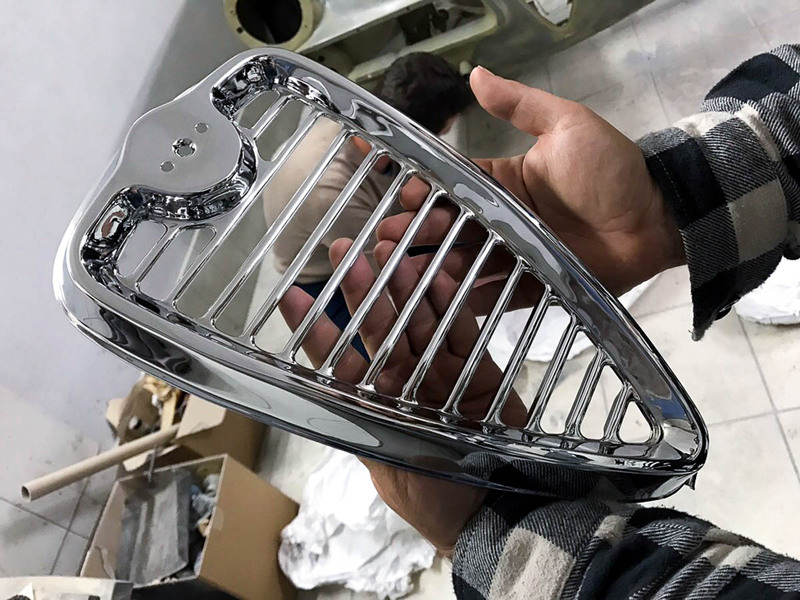 Final preparations for chroming will be done. 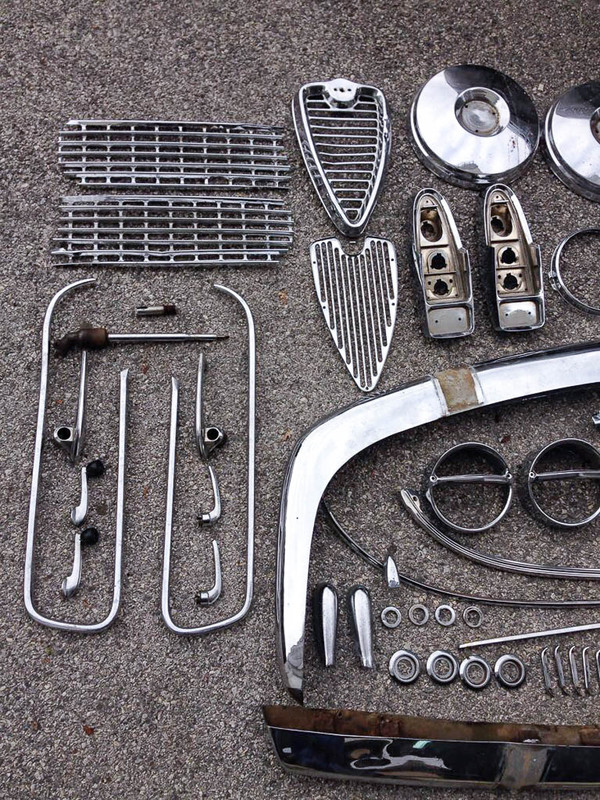 All metal parts, screws, and bolts will be galvanized. 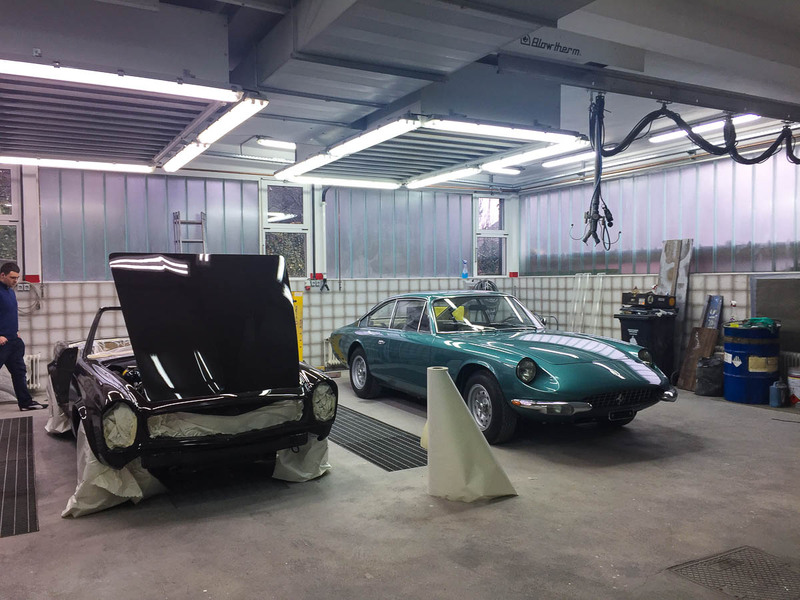 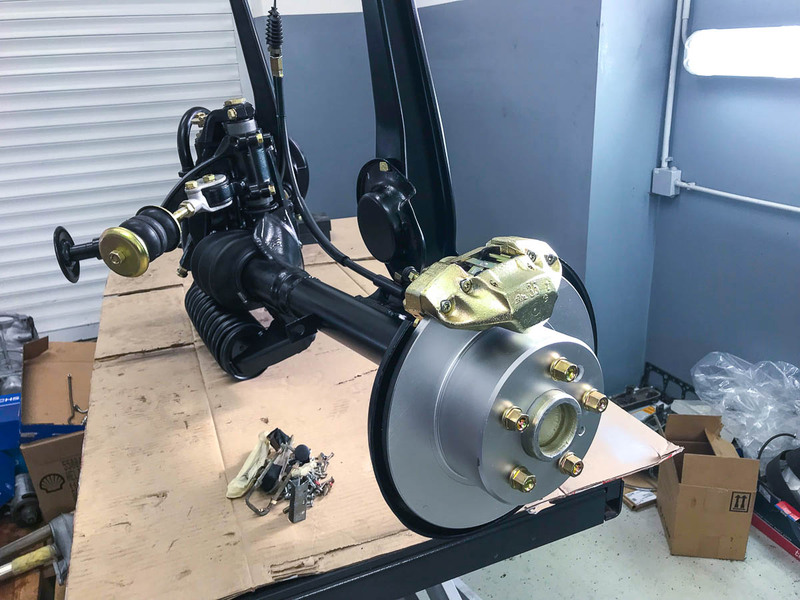 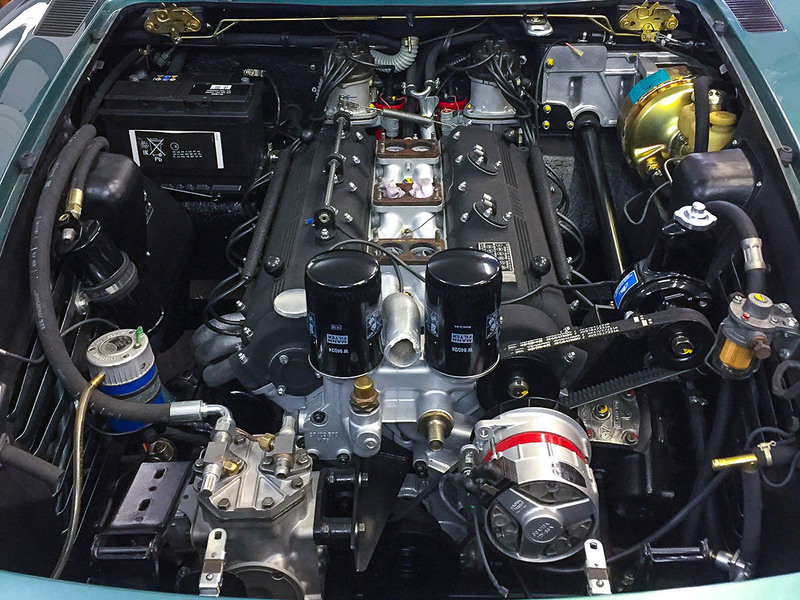 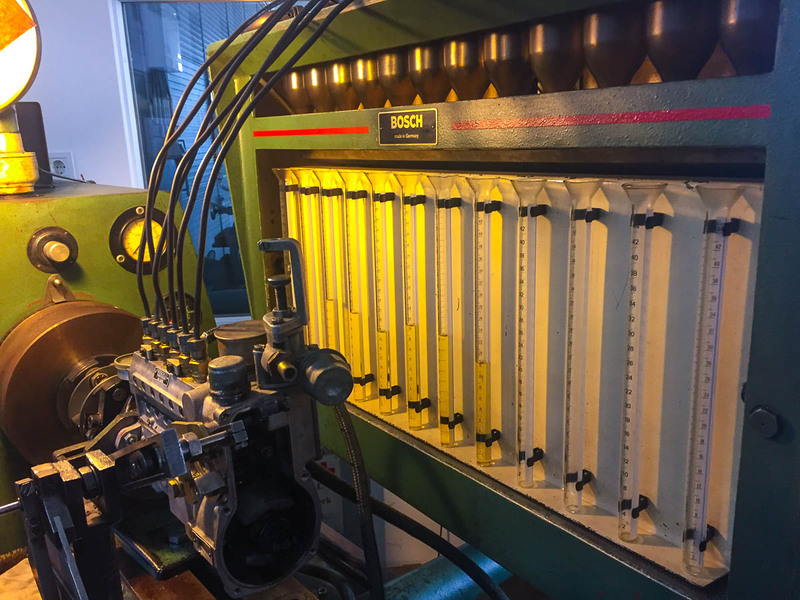 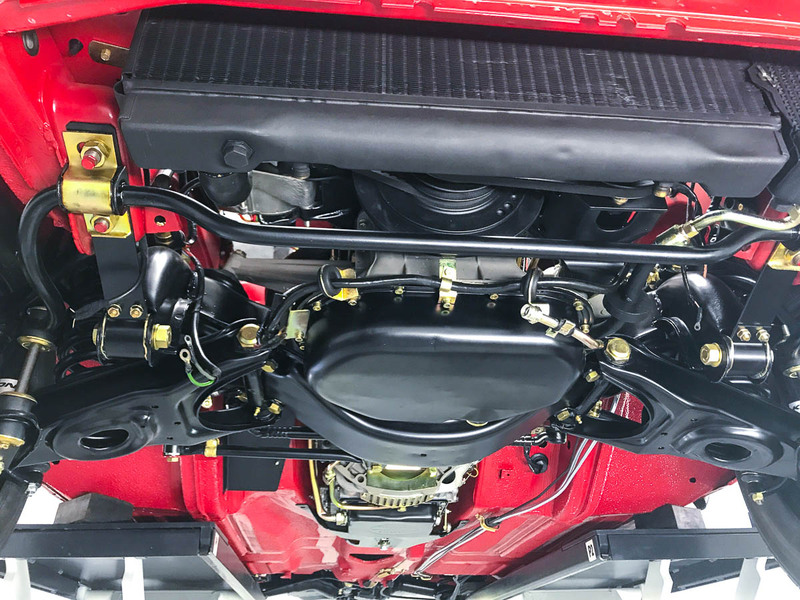 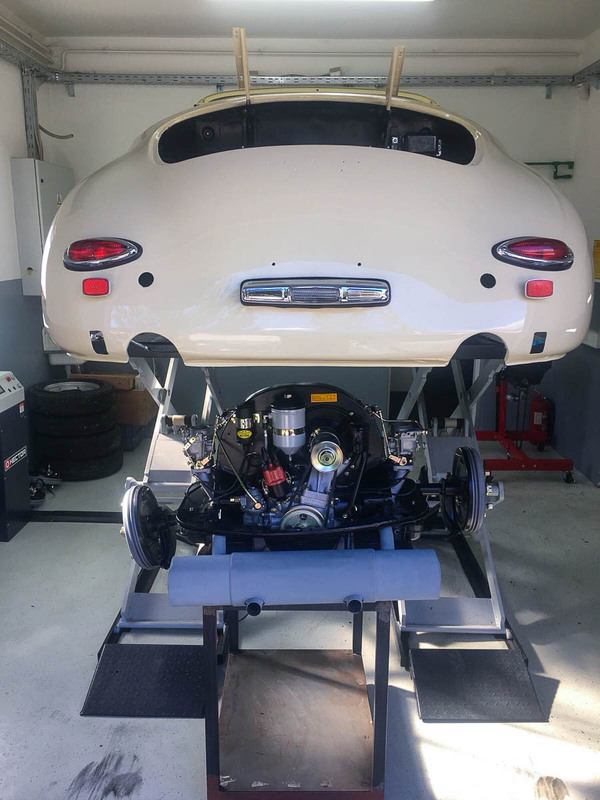 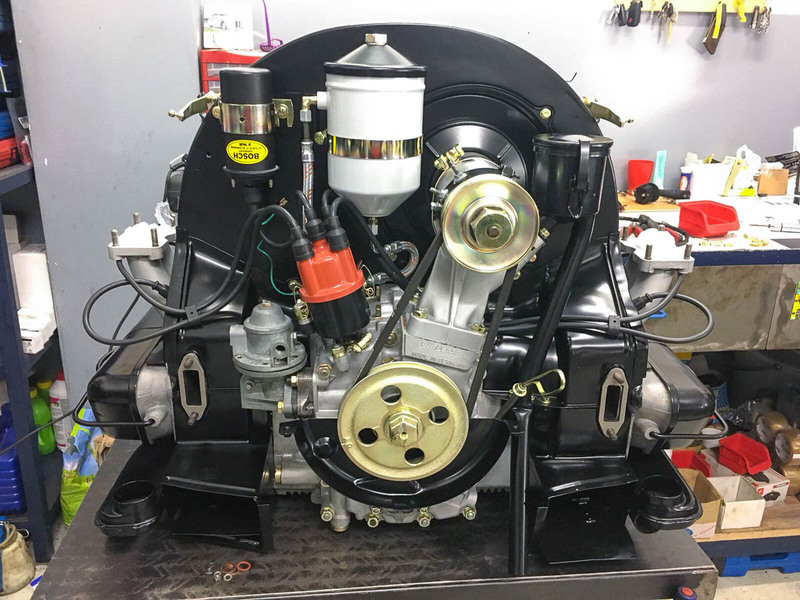 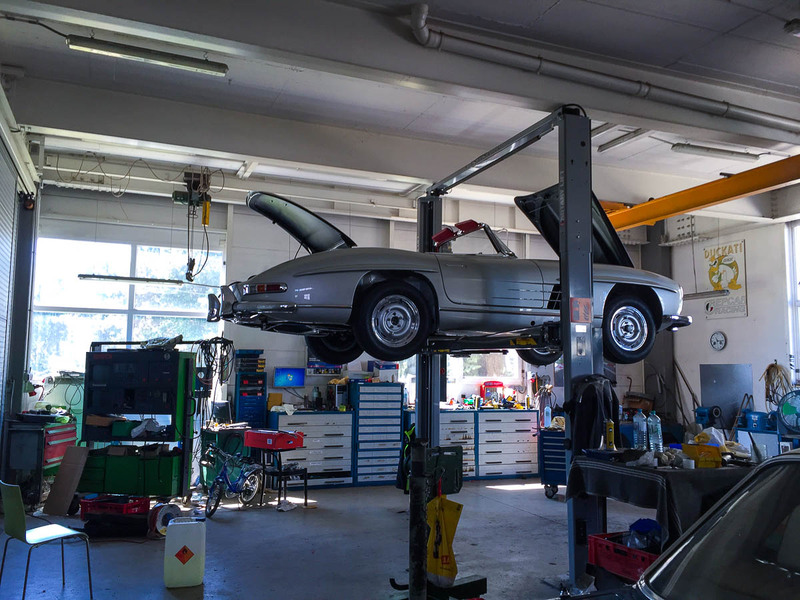 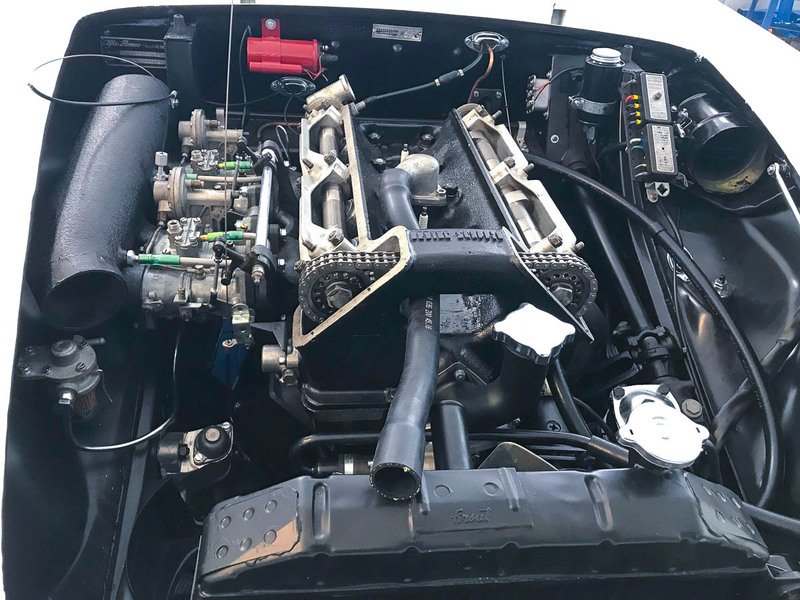 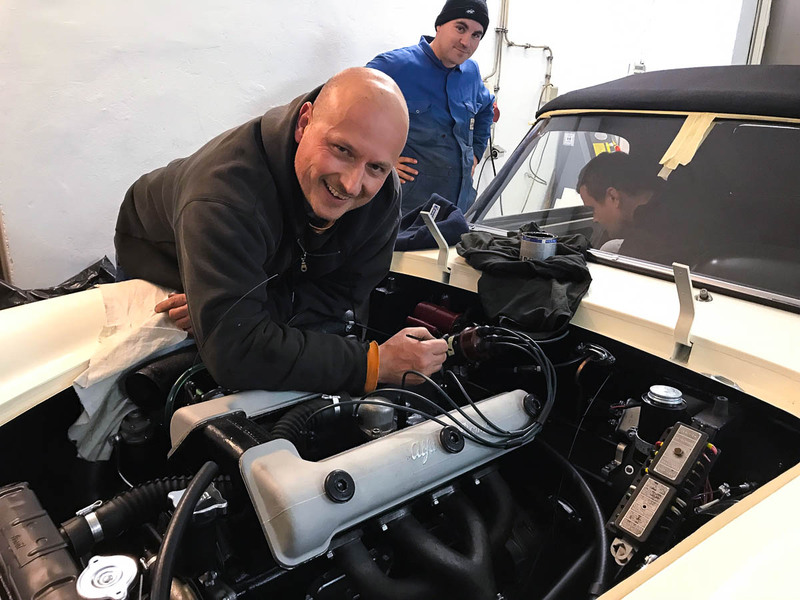 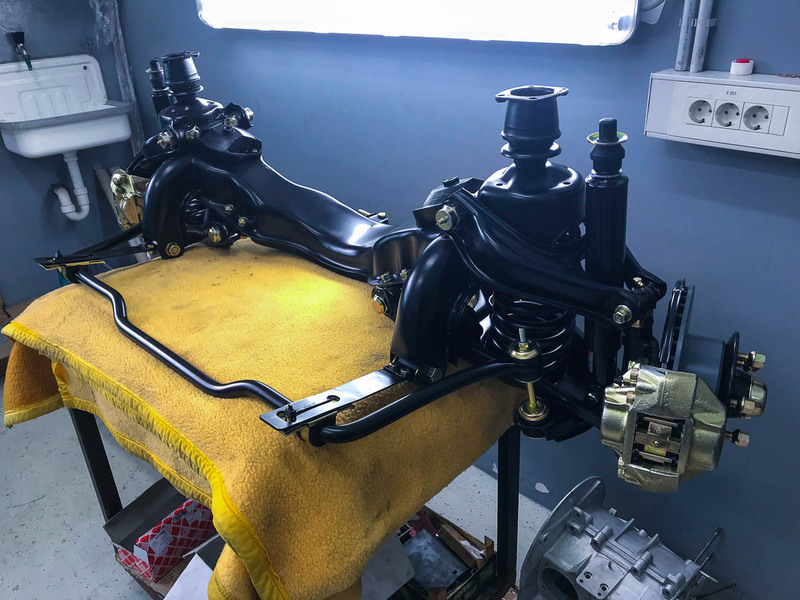 Our talented and devoted mechanics are capable of wonders, to make a restored classic run like new – from a simple oil change or gas tank cleaning to breaking system or even complete engine restoration. 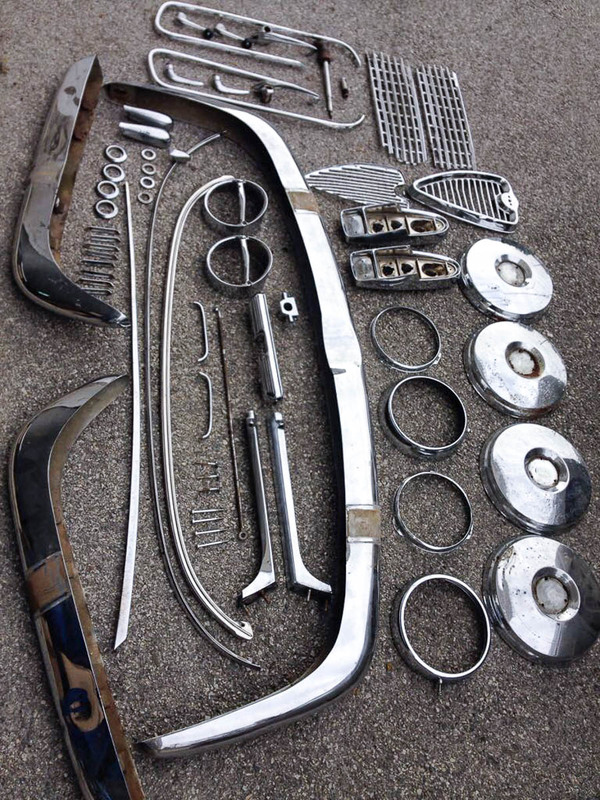 We have a large spare parts stock available in case of a part missing or impossible to restore. 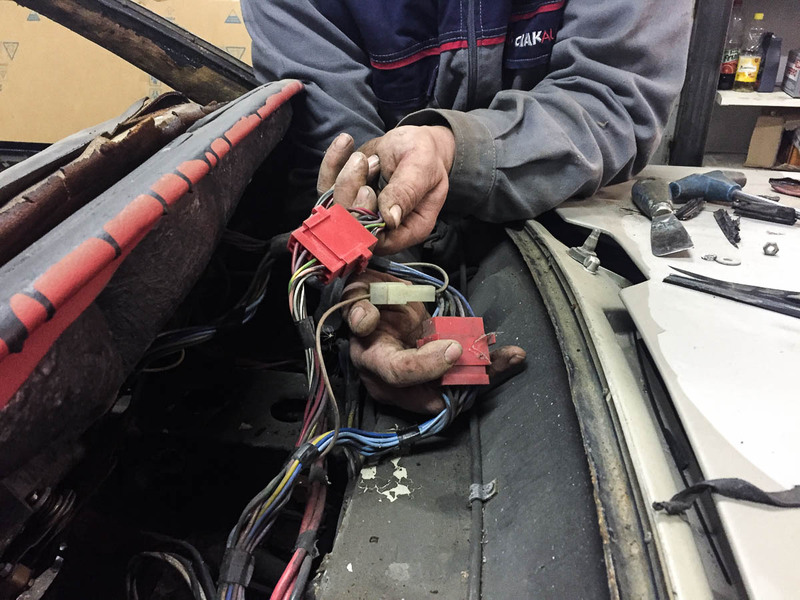 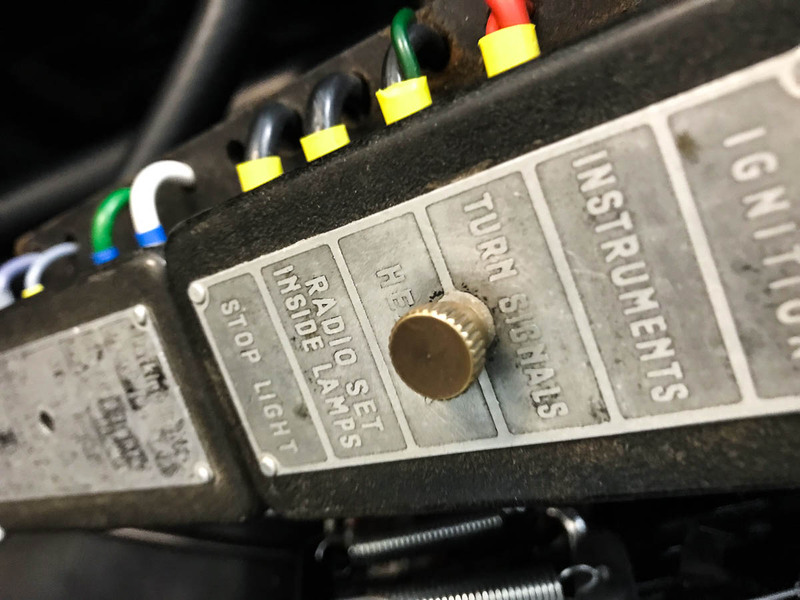 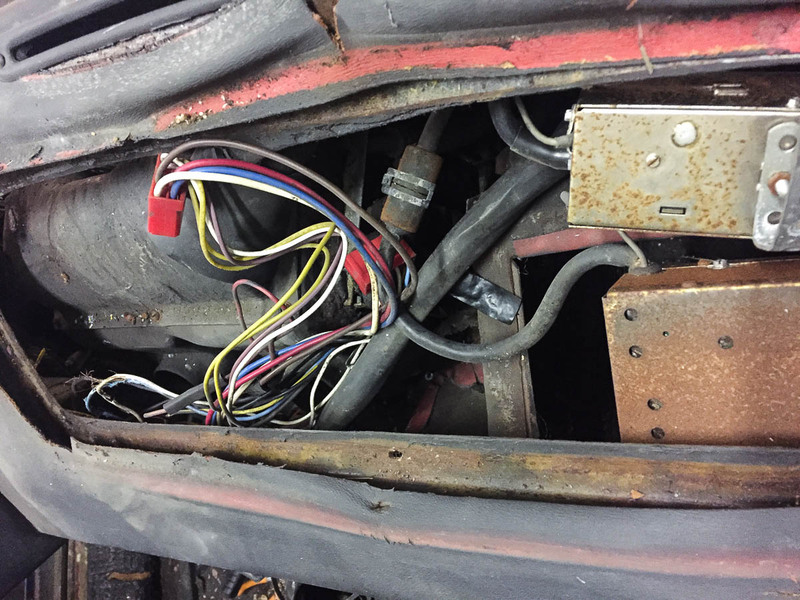 Skillful and precise electricians can handle most delicate electrical issues on vintage cars. 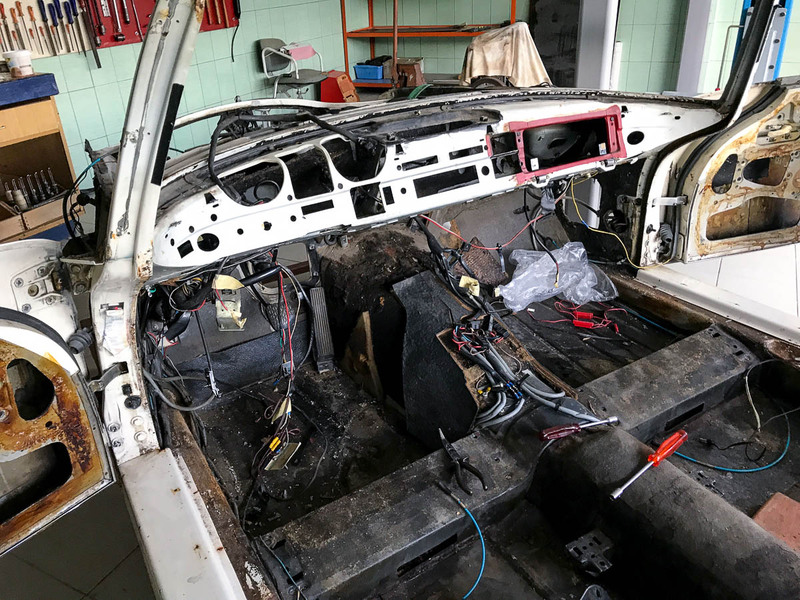 From installation of new connections to manufacture of entirely new electrical wiring system according to the original scheme. 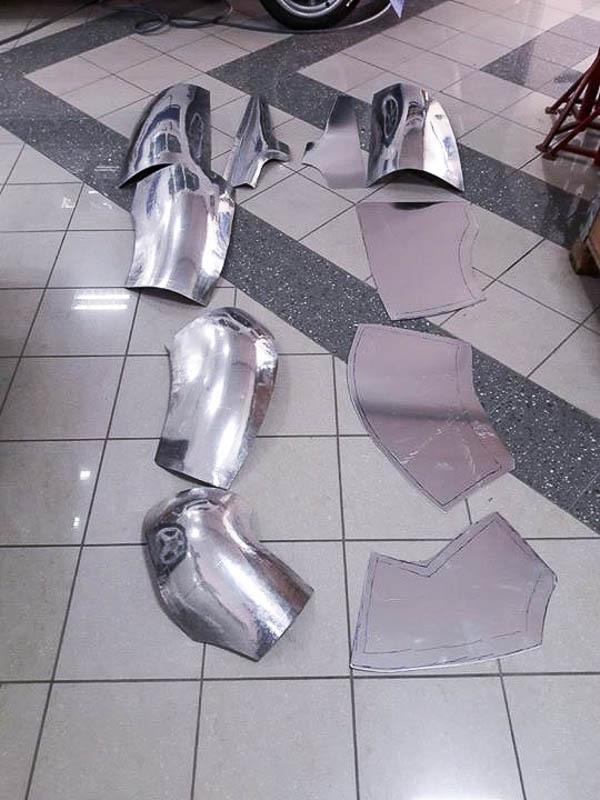 It’s something they do on daily base. 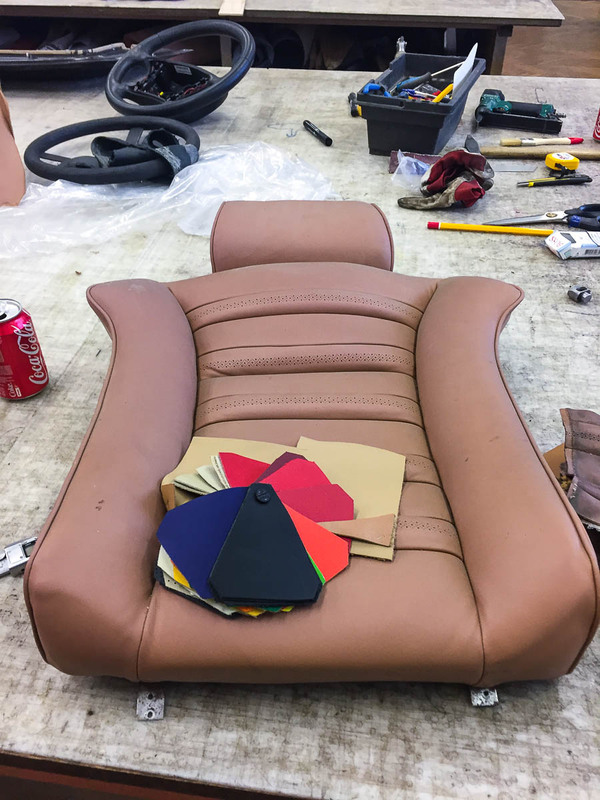 Upholstery will be restored using original materials or closest possible to the original. 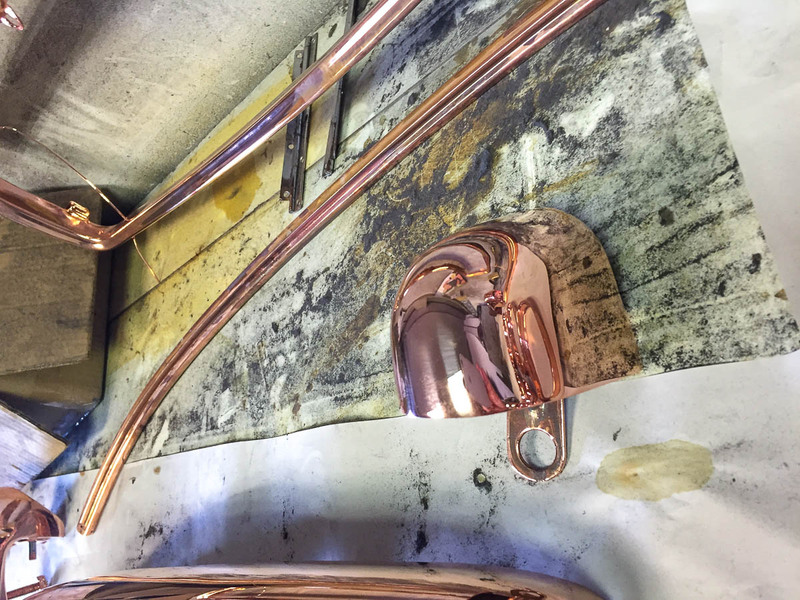 Everything will be done with attention to details to create a period-matching interior. 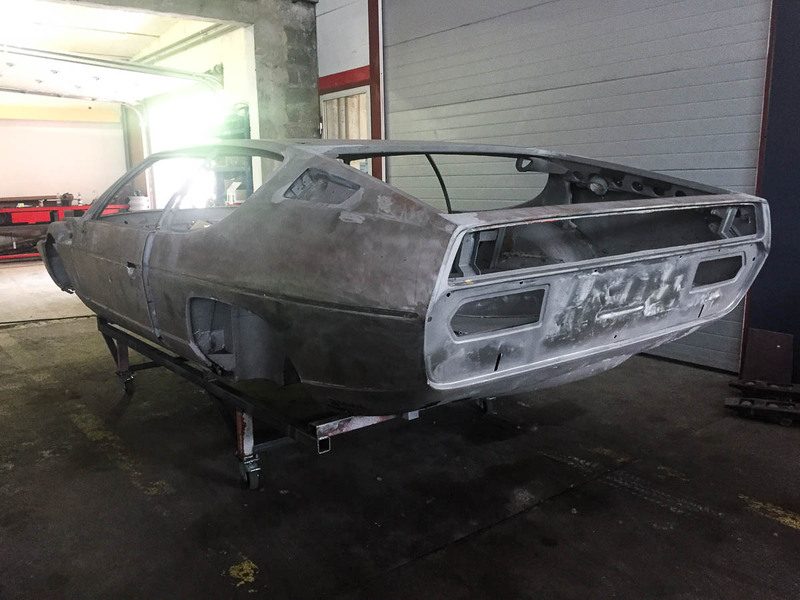 After the bodywork has been done and the body has been prepared it’s time for painting. 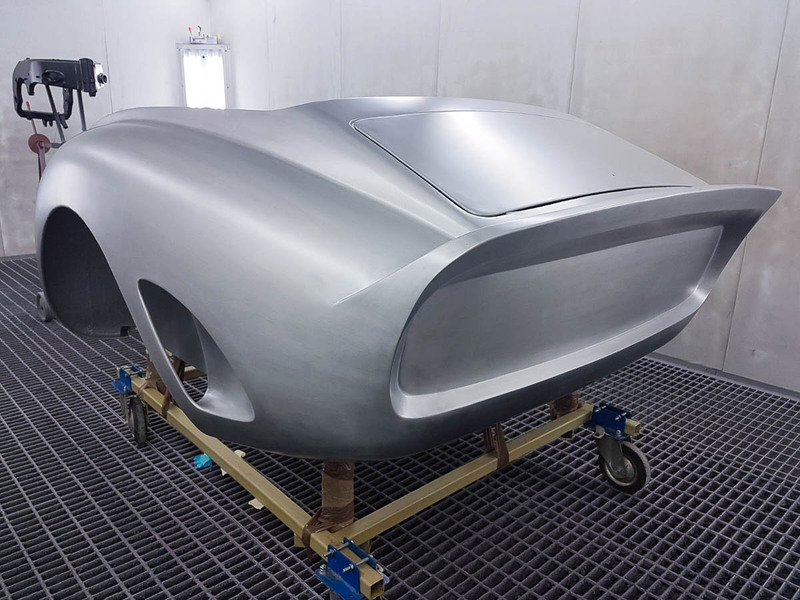 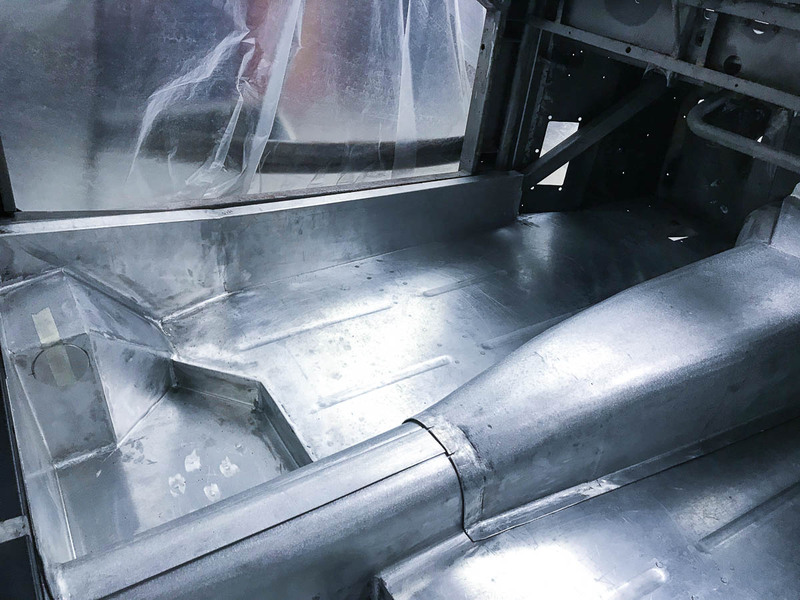 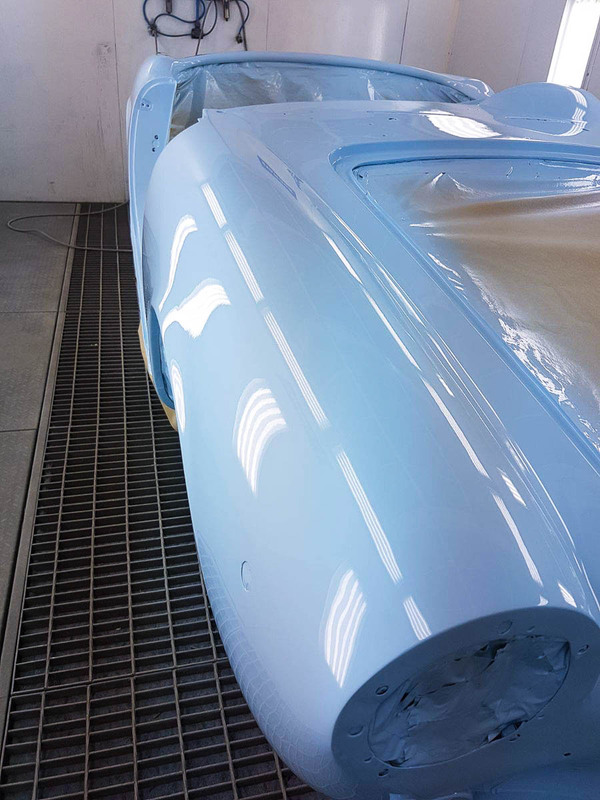 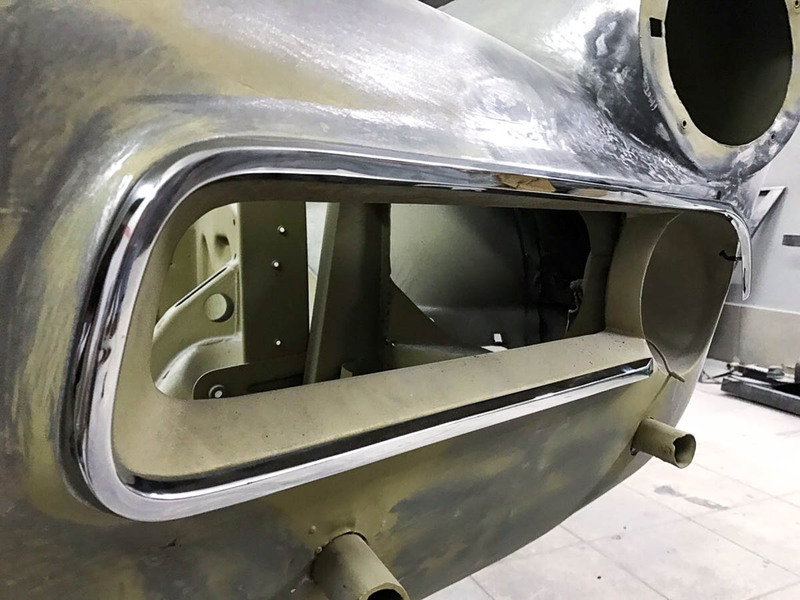 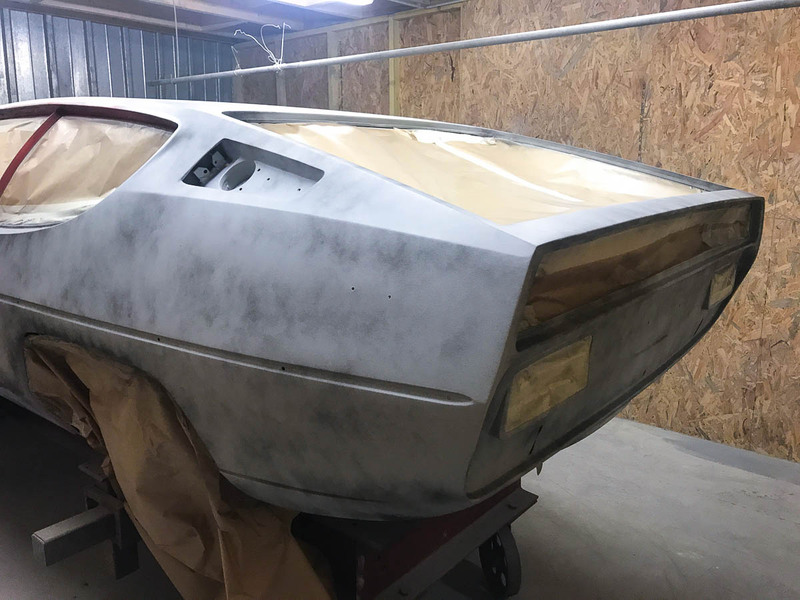 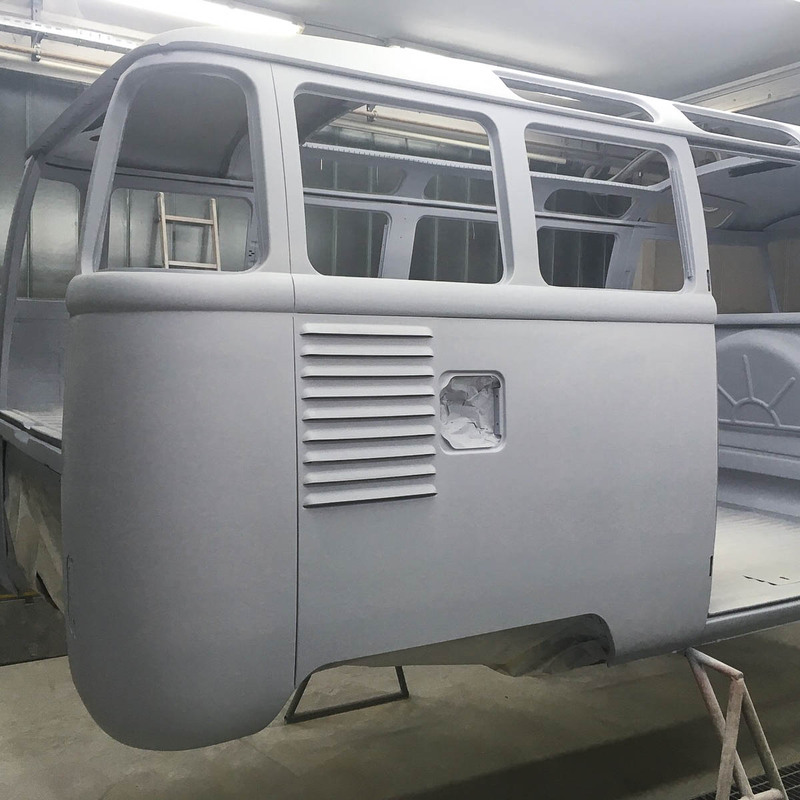 Paint and primer will be applied in multiple layers to give our final product that flawless shiny finish we love to see. 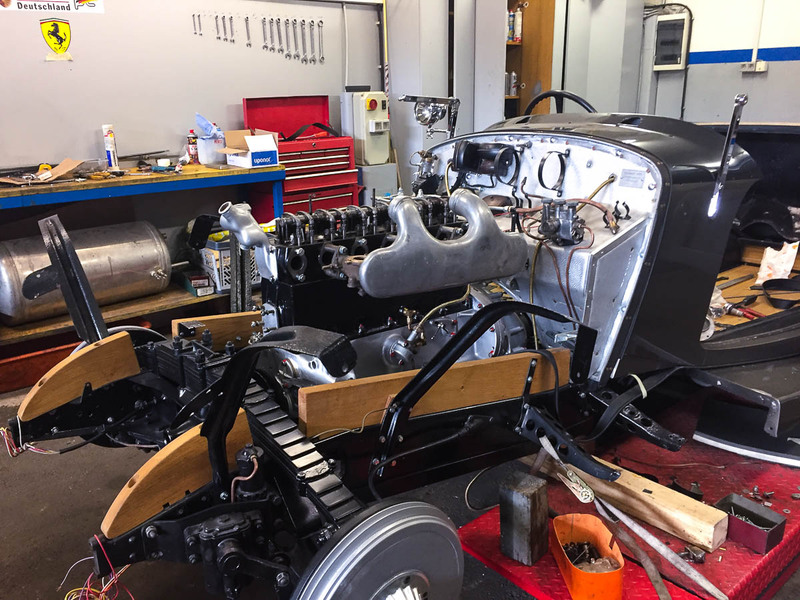 After components have been restored and circuits checked, it’s time for the final assembly of the vehicle and test drive. 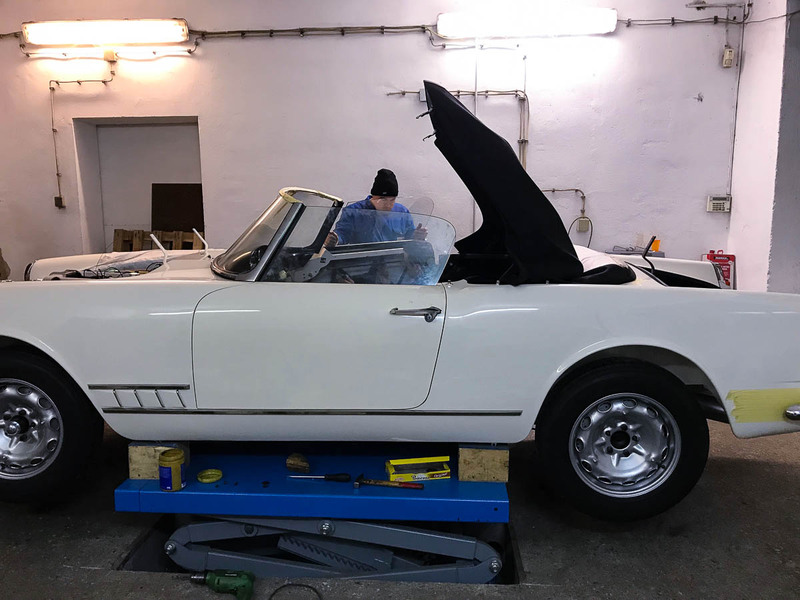 Another classic car restored to perfect condition at Pagoda Classics workshop is ready to be delivered. 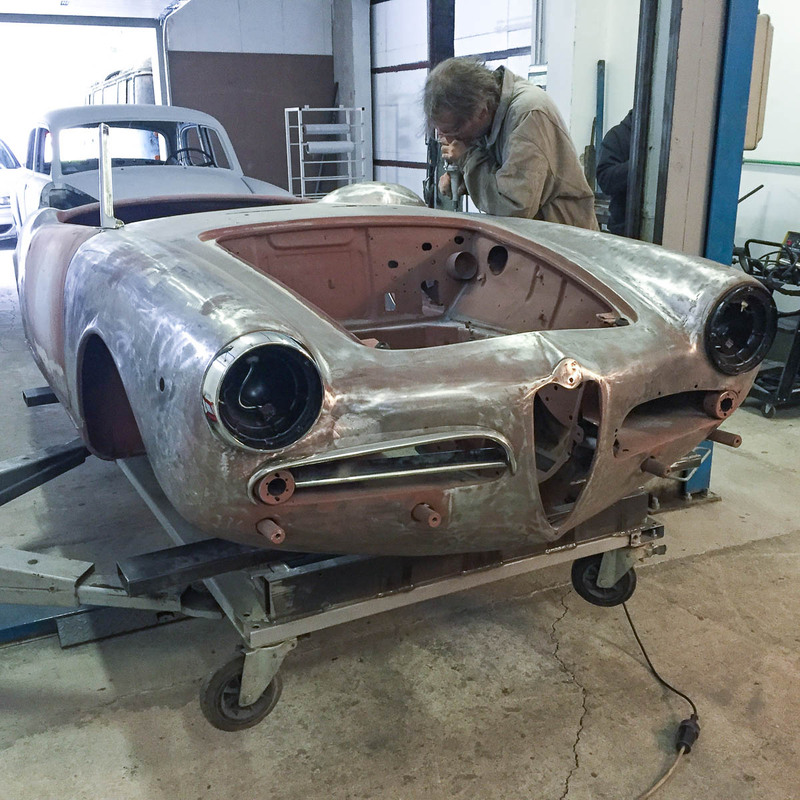 Interested in restoring with us?